Colorado, USA. It’s the perfect place to live or visit for just about anyone in the world. Perhaps the greatest attraction are the majestic Colorado Rocky Mountains. Whether you choose to visit during peak ski season or in the beautiful summer months, there are festivals and events happening year round at many of these Colorado Ski Resorts! Denver Party Ride provides safe and reliable transportation to each and every one of the amazing locations on our list. 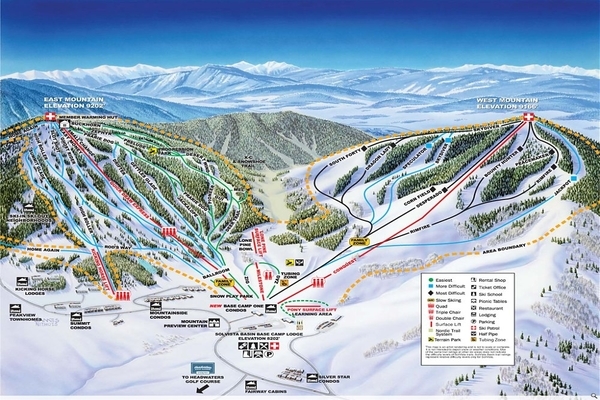 We transport passengers from Denver International Airport (DIA) to their favorite Colorado ski resorts year round! With an epic fleet including Denver Shuttle Buses, Coach Buses, Party Buses, and Limousines, we have your transportation needs covered. Staying open until early June, Arapahoe Basin boasts one of the longest ski seasons in the country. So, gather your friends and let us take you in the party bus to experience what Coloradans call, “The Legend,” due to its expansive, 360-degree view from its summit, well-groomed high-alpine runs, chutes, bowls and glades which are accessible by an impressive quad chair lift. Known for amenities like the Pallavicini lift, a substantial fixed-grip double chair servicing the steepest and snowiest mountain terrain; unique uphill access, and affordable snow sport lessons for the entire family. And, don’t forget to try an A-Basin Bacon Bloody Mary at the 6th Alley Bar & Grill. They sell over 10,000 of these cocktails each season. Offering four different dining options, Arapahoe Basin’s food choices range from their mid-mountain restaurant, Black Mountain Lodge, a great place to stop during a great day of skiing and grab lunch and a drink. For skiers in a hurry, Legends Café offers cafeteria-style food to get you back on the slopes in a snap and Coffee Corner, in the A-frame near Arapahoe Sports is even open on weekends. And, the Snow Plume Refuge offers dining next to picturesque views of the Continental Divide run. If you are looking for the “real Colorado experience” then check out Summit Peaks Lodge during your time at Arapahoe Basin. You know they provide excellent service and superb comfort if over 100,000 satisfied guests have spent time there. They guarantee clean and professionally maintained lodges, with some of the strictest guidelines for customer satisfaction. There are four different lodges with some accommodating large groups up to 72 people. Whatever your event, Summit Peaks Lodge can handle it. From church groups, school clubs, family reunions, wedding parties, corporate outings and more! They have deals with a large number of local businesses that offer clients of Summit Peaks with 20-50% off. Some affiliates include restaurants, ski tickets and rentals, bike rentals, horseback riding, guided fishing, snowmobiling tours, water park fun, and even a photography studio for group portraits! Summit Peaks also donates a portion of all revenue to Big Brother of America. This is definitely a great place to stay while on your next trip to A Basin. Providing some of the most intense skiing in Colorado, the Aspen Highlands is a great destination for you and your friends to visit together in the comfort of the party bus. Get the day started as we take you in luxury and surrounded with amenities, to experience Aspen Highlands famous Highland Bowl, drawing avid skiers from all over the nation. 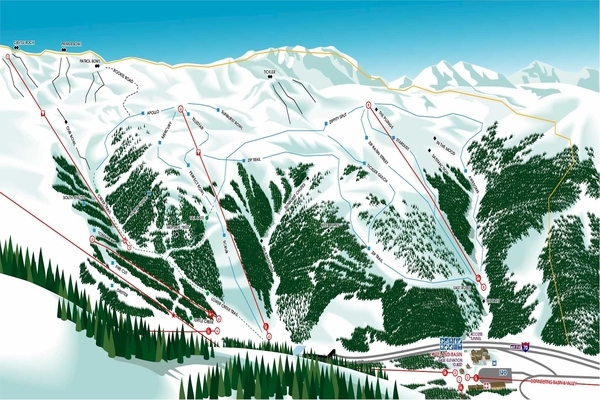 Featuring some of the steepest, big-mountain skiing Colorado has to offer in runs like the Highland Bowl, Olympic Bowl and Steeplechase and expansive views of Maroon Bells and Pyramid Peak. Visitors comment on the thrill at Aspen Highland’s every turn, spacious cruisers, long-stretching and challenging steeps and many untracked sections in the runs. And, if you’re new to skiing, there’s great beginner and intermediate terrain for skiers of all skill levels. There are two on-mountain restaurants for guests to enjoy at Aspen Highlands: The Cloud Nine Alpine Bistro, where you and your group can enjoy favorites like warm fondue and raclette, or stop by the popular Merry Go Round restaurant for a relaxing dinner. If you’re looking for an opportunity to take a ski lesson while you’re there, the Ski & Snowboard Schools of Aspen Snowmass offers tips on skiing, the resort and the nearby community for a memorable experience. After being founded in 2008, Aspen Brewing Company has seen huge growth while maintaining one single goal; make world class beer. Part of the reason for the dramatic rise in popularity is the fact that they are so highly involved in community events. They are truly building an indestructible brewery brand. This community outreach is so important to them because not only does it get their name out, it also helps them get to know their customers. What they like, where they like to go, etc. All key information to help them craft the best beer for you! The tap room is open 7 days a week and they have free live music on the weekends. They also provide tours at their brewing facility which is a different location than the tap room but still in Aspen if you’d like a tour as well. Aspen Brewing Company is very popular in Colorado and they have the 2016 Gold Cup from the World Beer Cup to prove it! Whether you visit their tap room or pick up a 6 pack from the store, their beers are sure to wow you and your guests. It’s a perfect way to end a day on the slopes. A great getaway weekend starts with a ride on the party bus to the prime ski destination in the heart of downtown Aspen, Aspen Mountain, also known as Ajax, offers a vertical buffet of gladed runs and double-blacks for snowboarders and skiers to explore. Opening in 1947, the snow-sport venue offers bumps, steeps and amazing views from every vantage point. And, you won’t go hungry over the weekend because Aspen Mountain is home to some of the best restaurants in the region. Try Ajax Tavern, located at the base of the mountain and enjoy its year-round sustainable cuisine. Enjoy popular dishes like Colorado lamb Bolognese, house-made charcuterie, succulent raw bar selections and daily specials. Luscious cheese fondue is presented at cocktail hour along with heaping plates of decadent Ajax truffle fries to pair with fine wines and aperitifs. On Sunday nights, in addition to the a la carte menu, guests can partake in Sunday Night Supper, a prix-fixe menu for the entire table served family style. 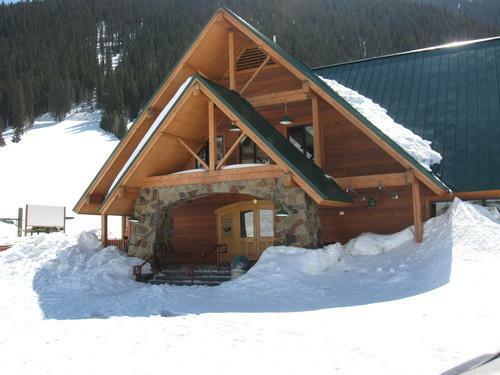 Bonnie’s restaurant is located on the upper mid-section of Aspen Mountain and is known for its hot and tasty white-bean chili and apple strudel. And, its two-tiered outdoor deck is a great hangout spot. 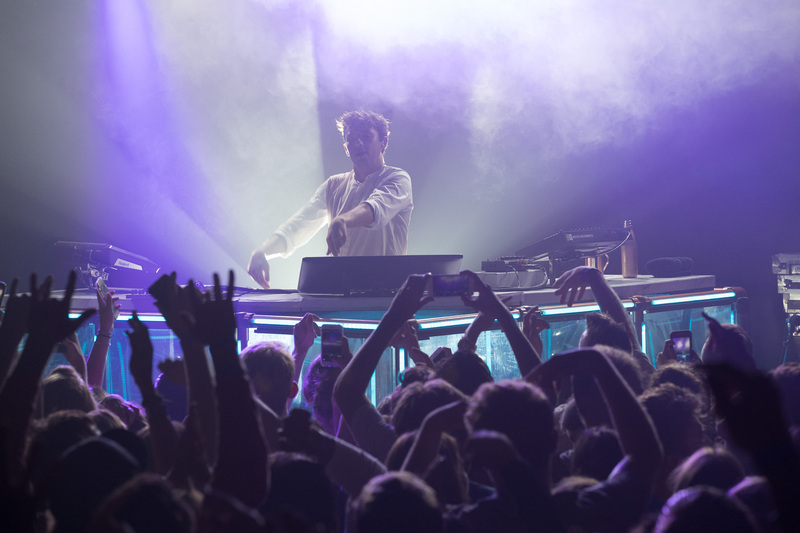 If you are looking for a night on the town while visiting Aspen, check out Belly Up Aspen, a live music venue. Opened in 2005, Belly Up Aspen books over 300 live shows a year and has featured talents such as B.B. King, Calvin Harris, The Killers, Kygo, Widespread Panic, Skrillex, Adam Sandler, The Chainsmokers, Ms. Lauryn Hill, Jane’s Addiction, Snoop Dogg, Dave Chappelle, ZZ Top and many more. You can host private parties at the venue as well if you are celebrating an event. They host a number of different events including wedding receptions, holiday parties, product launches, charity fundraisers and many more. The venue is open year-round and constantly has BIG acts so check their website for who will be in town when you visit and grab your tickets early. O2 Aspen Studio & Spa is a boutique fitness center with yoga, pilates, personal training and spa services. The classes are created to highlight strengthening, lengthening, toning and breathing. They offer both private and group classes including aerial yoga! Being in the Rockies gives you such a sense of zen that taking in one of these classes at O2 Aspen would fit right into your trip! They also have a wonderful spa service with aesthetician’s and massage therapists. This knowledgeable staff designs each treatment specifically to your needs, tailoring the session to your current skin and body condition. This is just what the body is craving after a long weekend on the slopes! Here you can sit back, relax and reinvigorate yourself. 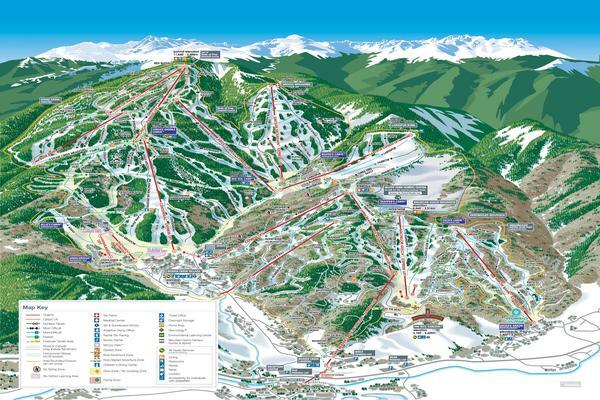 Located right on Main Street, it is less than a mile from Aspen Mountain Resort, convenient for those staying in town. When the snow conditions are right, let us drive you and your ski-buddies in the party bus or luxury shuttle from Denver International Airport to Beaver Creek Resort for an action-packed time of snow sports. Just past the gate, the Beaver Creek Resort opens-up to an impressive snow village where stunning terrain mingles with a luxurious mountain resort. Immaculately groomed runs, stellar lodging and world-class cuisine are just some of the highlights. Climb the expansive slopes of Bachelor Gulch and glide down soft bumps of Grouse Mountain which are groomed daily. The 800 snowy acres of the ski terrain offer endless choices for skiing and snowboarding. Lodging options include cozy condominiums, private residences, deluxe suites and up-scale hotel rooms. When you wake up and look onto the slopes, you’ll get a sense of wonder at the well-planned village encompassing Beaver Creek Resort. Two of the best restaurants available at the resort are Allie’s Cabin and Beano’s Cabin. Allie’s is situated on Beaver Creek Mountain in a beautiful setting. Guests have the option of arriving in an open-air sleigh to enjoy special wine pairings and multiple course features. And, to access Beano’s Cabin for dinner, a scenic 20-minute sleigh ride is the only way to get there but you can enjoy musical entertainment while dining on an elegant five-course meal. A great outing for the family or your group when in Beaver Creek is the Vail Valley Escape Room. It is an interactive adventure and requires working together as a group to discover hidden objects, solve puzzles, and find clues. You are given 60 minutes to solve a mystery and escape the room! It doesn’t require any advance skills or knowledge, just working together as a team. Observe your surroundings and apply logic to everything. The items in the escape room are there for a reason. There are different quests at different times so check their website to see what the mystery is and sign up! Definitely a great way to learn how to work together as a team. These mysteries can’t be solved by yourself! The rooms are designed to accommodate up to 8 guests but you could even do this as a date night with just 2 people as well. Spend the day on the slopes and an evening of fun at Vail Valley Escape Room. Walking Mountains Science Center is open year-round. If visiting the Vail area in the off season, why not take a hike through the mountains with a trained guide and wilderness first responder. Discover some of the most beautiful hiking areas in all of Vail. You can choose from half day to full day hikes. Pack a lunch and plenty of water and enjoy the majestic Rockies on your own two feet! Situated in Breckenridge, Colorado, just west of the Continental divide, is the sloping ski haven, Breckenridge Ski Resort. With a ride on the party bus, you and your group will arrive in style to discover five interconnected peaks offering thrilling variety for every skill level. Located just two hours from Denver International Airport, the city of Breckenridge is also known for its upbeat nightlight, so there’s a lot of options when visiting the area. 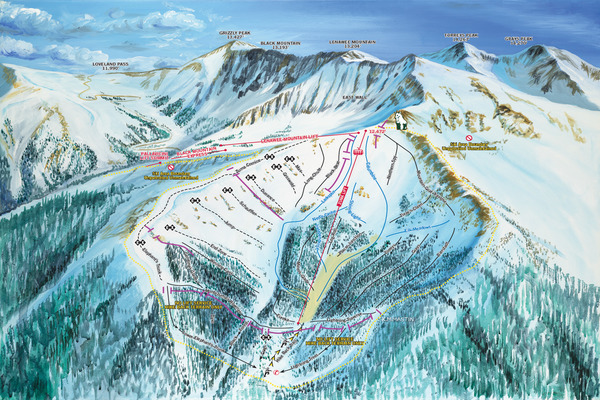 As part of the umbrella of resorts owned by Vail Resorts Breckenridge mountain features one of the highest summit elevations in the nation at 12,998 feet. The resort’s peaks provide tested terrain suitable for all skier levels, and the mountain offers a 22′ superpipe along with four award-winning terrain parks. 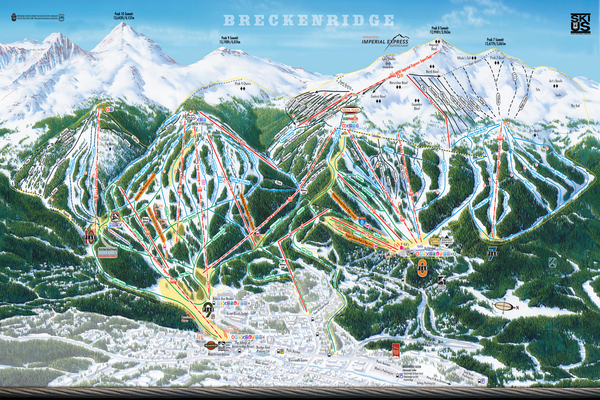 Venture into town and discover more than 30 bars, pubs and restaurants on Main Street, including Breckenridge brewery. Gaze at Victorian architecture and revel at its designation as Colorado’s largest historic district so there’s no shortage of things to do besides skiing such as a variety of shopping, dining and nightlife. And, if you’re in to hiking, many travel to the area just to walk the nearby trails in wonder. Top hotel recommendations are Westwood Lodge, The Lodge at Breckenridge, and One Ski Hill Place to get your lodging search pointed in the right direction. The Crown sits on historic Main Street in downtown Breck. A local favorite, it is a cozy spot that provides a fantastic food menu with breakfast, lunch and appetizers. This is a great spot to start your day before you hit the slopes with a hearty breakfast and a warm cup of coffee or end your day here with an appetizer and a cocktail. Something for everyone, you could drop by with the kids for an after dinner cappuccino and ice cream. They are known for having great food, great service and a great selection of drinks. Make a stop at The Crown on your next visit to Breck! When it’s time for a family ski trip, let us take you in one of our fine shuttles or party buses to the family-friendly ski destination, Aspen Buttermilk. Known for its affinity for families with 5 small lifts for novices and 3 chair lifts that carry skiers up the hill, the entire skiable terrain spans about 470 acres. Buttermilk is a low-key resort with groomed runs rimmed with beautiful trees. It features a comfortable lift off the Buttermilk Express Chair as well as a baby Panda pipe near the base for kids. 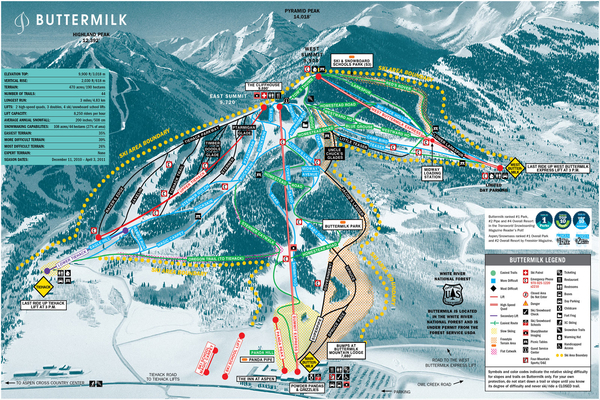 Buttermilk is part of the Aspen Snowmass ski resorts, situated in the White River National Forest. 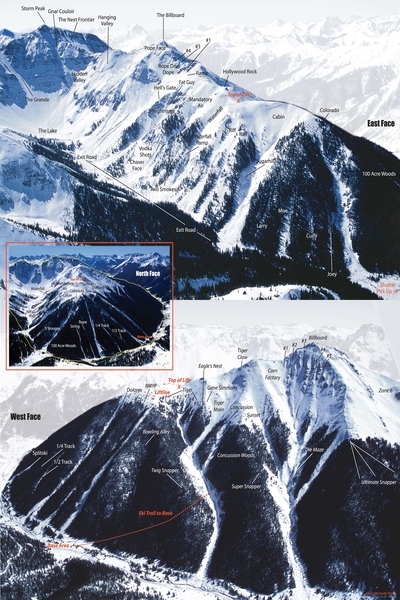 Buttermilk Mountain is 3 miles, or 10 minutes west of Aspen Colorado. Accommodations can be booked at their ski-in ski-out hotel, the Inn at Aspen by Resort Quest. The Inn is very family friendly, and features hot tubs, an outdoor pool and onsite restaurant. Room options range from hotel rooms (that sleep up to 4), suites, and studios with kitchenettes. 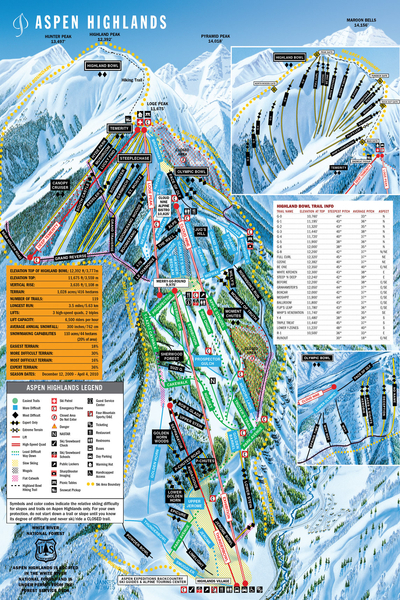 Most ski travelers stay in Aspen and catch the shuttle bus to Buttermilk, which gives you the option to explore all the town restaurants and bars, and unique Aspen shopping. 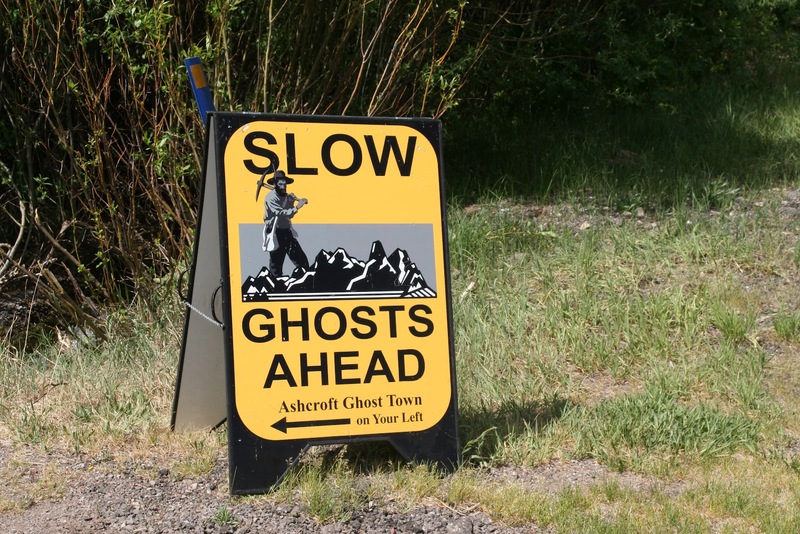 An old abandoned mining town just a few miles from Aspen is Ashcroft Ghost Town. A great outing for the entire family to learn about the history of the silver trade. Ashcroft was built in a very short time frame to include a school, sawmills, a courthouse, a small smelter and 20 different saloons with a population of several thousand people. 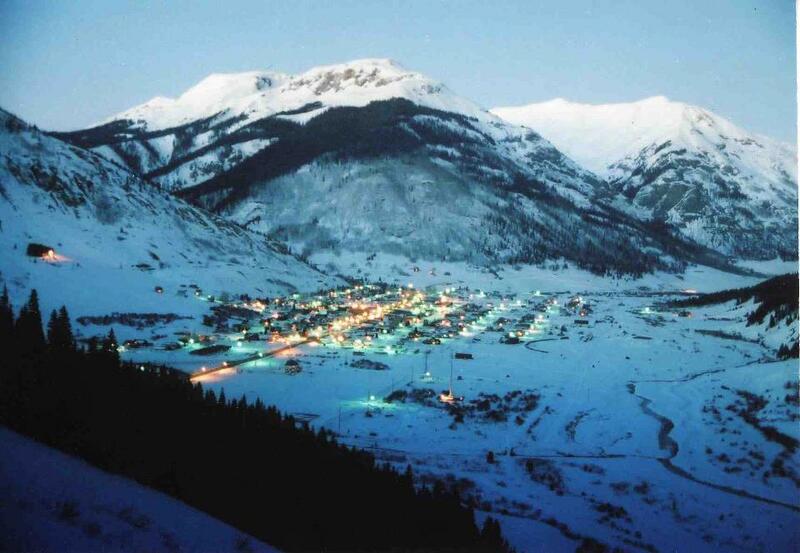 The town grew to be bigger than Aspen and was closer to the railroad in Crested Butte. However, as quickly as it boomed, the town went bankrupt. 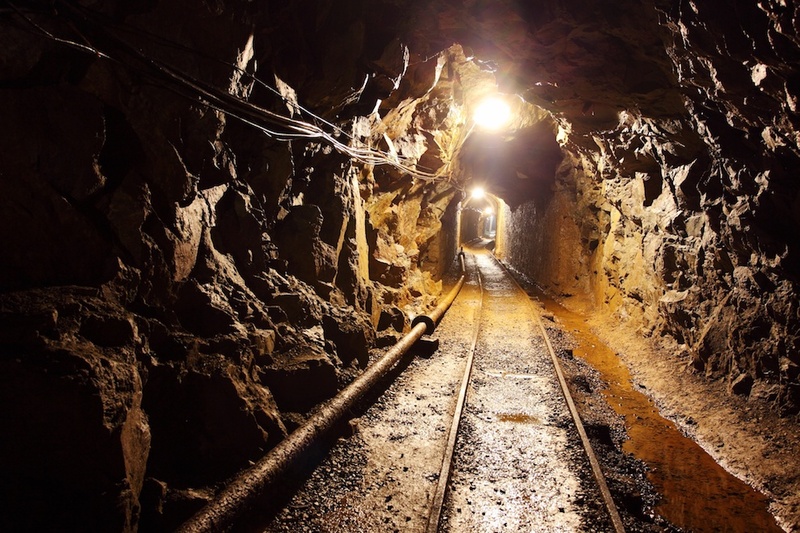 The mines which were producing over 14,000 ounces of silver to the ton were now empty deposits. Within 2 years the town went from a booming silver mining town to abandonment with only a few residents and $5 in the town bank. The mining town of Ashcroft has since been a protected area from development and the Aspen Historical Society stepped up in 1974, making it a National Register Historic Site to preserve this ghost town. Daily tours are offered to take a step back in time and get a glimpse of this historic place. Mawa’s Kitchen is known for creating custom menus from seasonal ingredients tailored to your family, bringing them to your house to prepare! 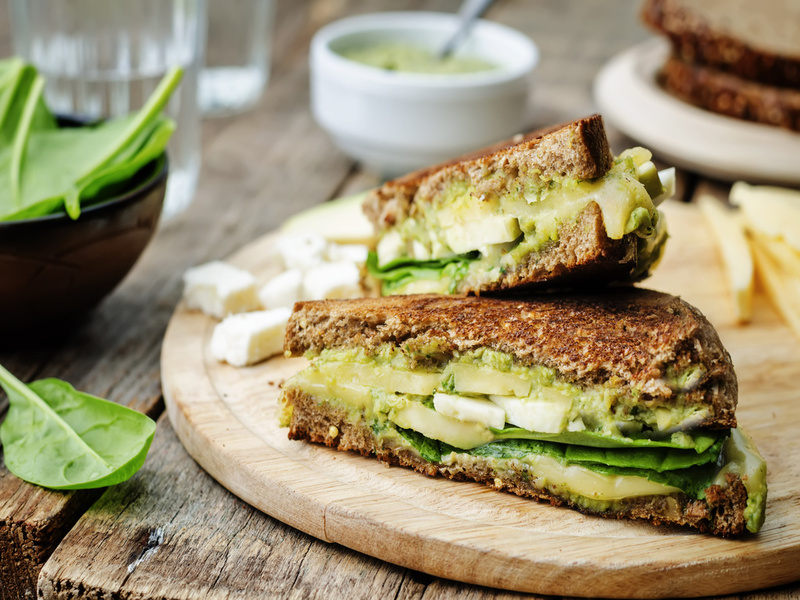 If you are staying at a cabin or Air BNB on your next trip to Aspen, call Mawa’s and have them create a personalized meal experience for you and your guests. How fun to have an intimate experience without leaving the coziness of your home. They also provide private jet catering. How fabulous! Gourmet dining at 30,000 feet, yes please! The goal is to create a convenient, affordable, and stress-free way of eating together. By popular demand, Mawa’s Kitchen is now serving breakfast & lunch daily in their newly renovated kitchen so you are also able to stop in as well before hitting the slopes! They also host a number of private and corporate events making planning your cocktail reception or all day seminar easy. The menus are tailored to accommodate each events style and culinary needs with seasonal inspiration and beautiful presentations. 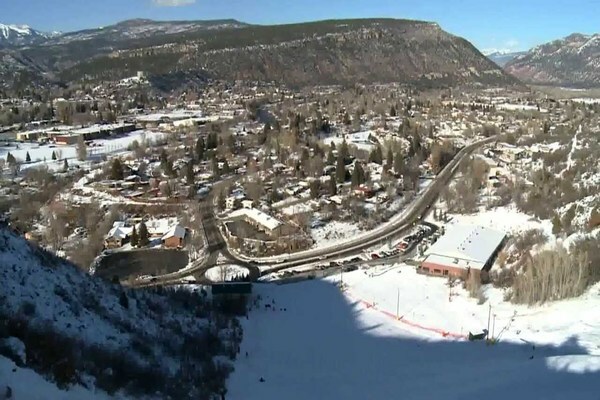 If your ski vacation plans include venturing to the snow sport town of Durango, we can take your whole group in the party bus to the cozy municipal ski and skate spot, Chapman Hill Ski Area. Opening each year to welcome the Christmas holidays, Chapman keeps its slopes open until the last snowflake falls. The park begins making snow in December and is open for skiing seven days a week. Chapman Hill provides ski terrain for beginners and experienced skiers. And, those who are advanced at the sport will thrill at the steep drop of nearly 700 feet from the very top of Chapman Hill. Two ropes are available to guide skiers up the hill where you can exit at any spot. There aren’t any chair lifts but that’s why it’s a perfect spot for families with children who will also enjoy the separate tubing and sledding hills. And, for those who want to improve their skills while they’re on holiday, lessons are offered throughout Chapman’s season and continue until February. The ice rink is big draw for visitors looking for an alternate snow sport on their trip and you can even rent skates at Chapman’s rink and get a snack at the concession stand. It features a supervised warming house and the rink runs both youth and adult competitive hockey and ski race league programs. Boasting world-class terrain parks and half-pipes, a ski trip on the party bus to Copper Mountain Resort is one of the best ways to celebrate a great weekend-full of snow sports. Offering a number of comfortable accommodations and restaurants to help you enjoy your ski experience, Copper Mountain is perfect for those on a budget as well as those who want to go all out for their ski vacation. 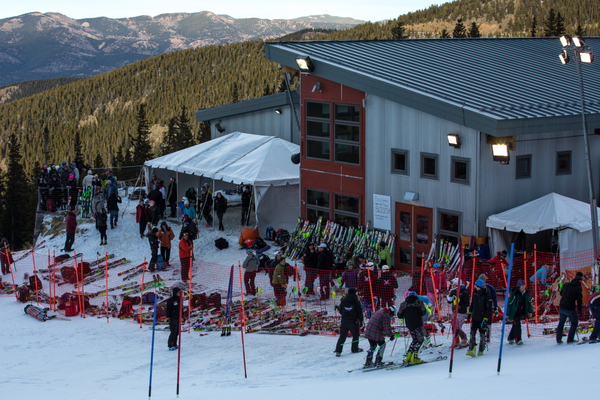 Catering to skiers of all levels, Copper Mountain is divided into four convenient sections so everyone in your group will have an area that’s perfect for them. The West Village area of the mountain is designated for beginners, the middle stretch of terrain above the Center Village is perfect for intermediate skiers, and the fast runs above the East Village are nearly all the thrilling black runs. 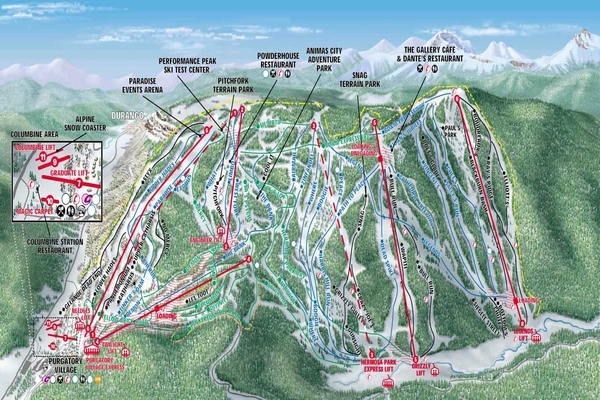 First time skiers can experience snow terrain that allows for gradual progressions and features small chairlifts with longer, more inclined trails connecting green trails from the top of Union Peak to the base area. Intermediates can hone their skills from traversing top to bottom pristine runs, to the Otto Bahn blue run’s spectacular views of the expansive Copper Bowl and Tucker Mountain. 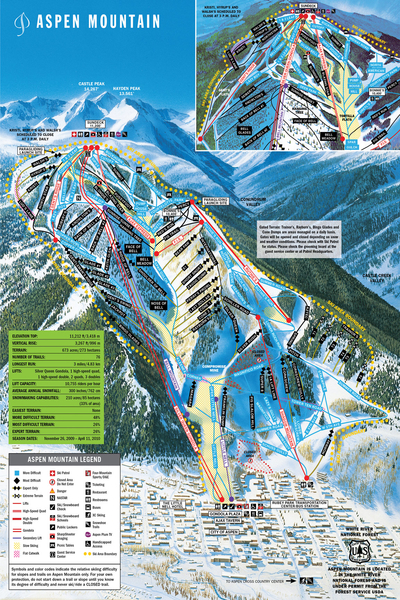 Copper Mountain offers snowboarders and advanced skiers four bowls, steep alpine extreme terrain, technical glades, moguls and fast black trails. Touted as “the last great Colorado ski town,” Crested Butte, is a unique ski destination that’s a bit off the beaten path. Let us take you and your ski gear on a picturesque journey in the party bus or luxury shuttle to the rugged and ominous peak of Mt. Crested Butte for an unforgettable snow sport trip complete with exceptional dining and luxury lodging. And, you’ll be charmed by the area’s quaint, Victorian town, friendly locals, and ridges of surrounding mountains. 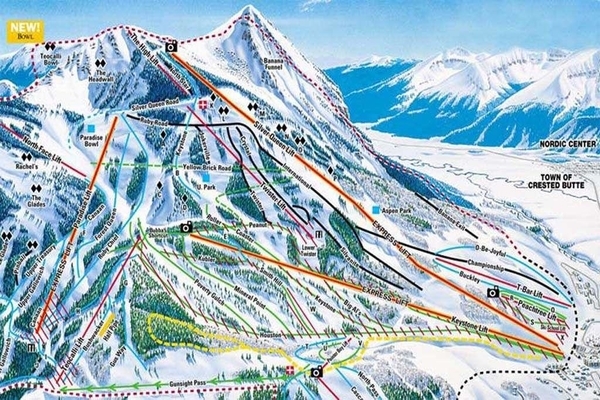 Crested Butte Mountain Resort is best known for having some of the best steep terrain but, there’s plenty of intermediate and beginner skiing available on the bottom half of the mountain. The front of the mountain features the trails off of the Red Lady Express which open to spacious and wide-open beginner skiing. Intermediate skiers can find some faster runs off Prospect and Gold Link Lift and the more-advanced skiers in your group will have plenty of runs to rip around on off of Paradise and East River Express Lifts. For the well-seasoned skiers in the bunch, the famed North Face Lift will lead you to areas like the Spellbound Bowl, Third Bowl and gate-accessed Teocali Bowl for all the speed you can stand. Montanya Distillers sits high at 9000 ft! This is perfect for making the best rum as the altitude affects every aspect of fermenting, distilling and aging process. All rums are made from scratch using alembic copper pot stills from Portugal. Montanya Rums offers daily tours as well as a full rum bar with artisan cocktails, farm-fresh appetizers and small plates 7 days a week. They have live music most nights all year round so no worries if you are visiting in the off season. If you want a tour of the distiller while the rum is actually being made, call ahead and schedule this in. They are very specific in their creating process and this would be a really cool thing to see with your group on your trip. This is a great place to end the day on the slopes. Black Tie Ski Rentals is a premier ski and snowboard rental delivery service with 15 locations servicing 35 world class resorts. They provide custom fits with the latest in ski and snowboard technology right in the comfort of your accommodations without the lines or the hassle! They have free delivery and in-room fitting, slope-side service, and complimentary returns. You are able to place your order for all your equipment prior to your arrival. Black Tie delivers your equipment wherever you are staying, no need to come by the store! When you are done using your equipment, they will meet you to pick everything up, again, no need to go out of your way. They will even accommodate for condition changes if you need to swap out equipment at any time throughout your visit! Extremely convenient and hassle-free rentals! If you’re looking for a great ski destination after landing at Denver International Airport, let us pick you up at the terminal and drive you just 35 miles west of Denver to the stunning ski destination of Echo Mountain. Low ticket prices to access the 10,500-foot mountain and its 660-foot vertical drop are some of the top features attracting snow-enthusiasts to the area. With a season beginning in December and lasting well into May, Echo Mountain gets more than 220 inches of snow each year so excellent conditions are common. Echo Mountain boasts 16 trails accessed by the Milk Run Special, a fixed-grip triple lift which glides skiers to the top of every trail. Snowboarders will find a variety of challenging jibs and jumps for every ability. And, a special feature at the resort is Echo After Dark, when ski trails are lit trail between 4 p.m. and 9 p.m. most weekdays. After you work up an appetite following a day of skiing or snowboarding, enjoy dining at the café and bar at Echo Mountain. Lodging options are Miner’s Pick Bed and Breakfast or the Hooper Homestead Guest Quarters and Spa featuring hot tub and spa services to keep you in top shape for hitting the slopes. 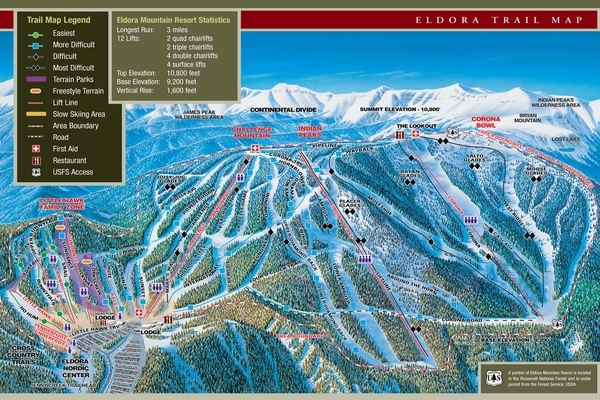 Situated just outside the snowy destination city of Boulder is Eldora Mountain Resort. Let us drive you in the party bus to the quaint and cozy resort village adored by ski and snowboard enthusiasts. 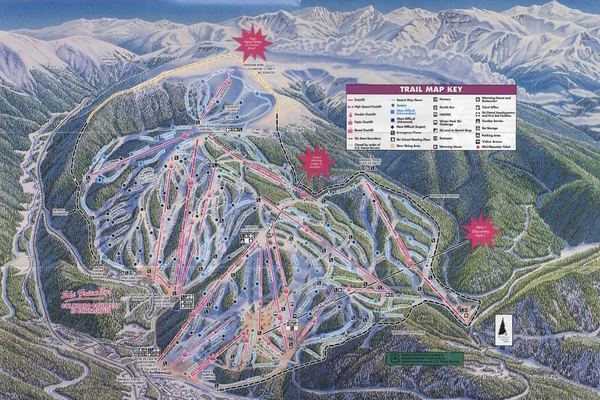 Featuring 680 acres of snow-loving terrain, Eldora may be considered small compared to other Colorado ski resorts, but there’s plenty of action for beginners and experts alike. And, there’s a dedicated learning area for kids. To keep you fueled up between runs on the slopes, Eldora has an on-mountain cafeteria and at Kathmandu restaurant, enjoy a daily lunch buffet or an evening meal of delicious Nepali and Indian food. The city of Boulder offers several options for food and drink from burritos to upscale dinners. Two of the most popular are Snarf’s, for tasty sandwich to take with you to the slopes and great coffee and bagels are always hot and ready at Moe’s Bagels. There’s no lodging available at Eldora Mountain but many great hotels are available in the surrounding areas such as Boulder Canyon, Estes Park, and Boulder. 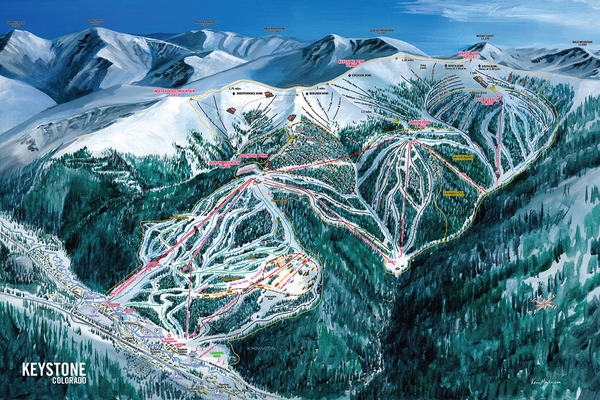 Located in Colorado’s Front Range, Eldora Mountain Resort is situated just outside the Indian Peaks Wilderness Area. The drive from Boulder is just 40 minutes and leads right up Boulder Canyon amidst impressive scenic views. 80 acres of skiable space featuring a 700-foot drop and steep slopes for the more-experienced skiers in the group. The ski spot has a double chairlift and nine alpine runs offering night skiing and snowboarding until 9:30 in the evening during ski season. Their beginner’s ski area offers an easy rope tow to get the feel of the sport. Hesperus is known for having a higher number of easier slopes compared to other ski areas so the options for families are endless. Situated 12 miles west of Durango and 32 miles from Farmington, New Mexico, Hesperus averages 275 inches of snowfall annually and offers visitors panoramic view of the snow-laden highlands of Mesa Verde. The owners, Gregg and Gretchen Dubit, have been running Durango Dog Ranch for over twenty years. Their dog sledding ranch consists of Siberian and Alaskan huskies, four cats, six fish, and two children, Lydia, age 13 and Hayden, age 10! 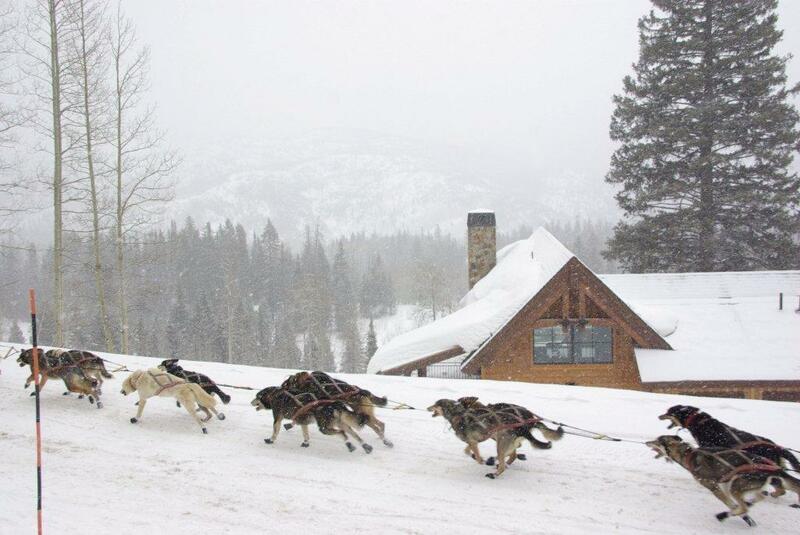 They offer dog sledding adventures at Purgatory Resort and through the San Juan Mountains. The trips include a guide and lessons and is a must for your next family outing. Check out the views from a totally different perspective on your next trip to Hesparus. You can have 2 people per sled with a guide and the tours can last from an hour to a full day. You choose! As this is a seasonal business, they book up fast so you need to call way ahead to reserve your spot. This is definitely an adventure the family will be talking about for a long time after your trip. Located in the downtown area of the historic city of Steamboat Springs, Howelsen Hill attracts visitors for both its skiing and tubing hill. And, with everyone settled in the party bus for a relaxing ride to the slopes, your trip will get off on the right foot. Offering a cozy ski area, Howelsen Hill is nationally-known for its impressive, giant natural jumps and great facilities which have churned out over 70 Olympians in Nordic and alpine events since opening in 1915. Howelsen may be a smaller ski area than others, but it offers some of the most affordable lift tickets and a unique opportunity to watch kids trying their hand at the freestyle jumps set up around the hill in varying sizes. And, there’s the added benefit of visiting Howelsen Hill just to take a thrilling ride on the impressive snow tubing option which attracts tubing enthusiasts from all over the region. There’s plenty to see and do when taking a ski trip to Howelsen since it’s located in Steamboat Springs and you’re in direct proximity to all the amenities an authentic western town has to offer like great local cuisine, unique shops for browsing and a variety of cozy lodging options. 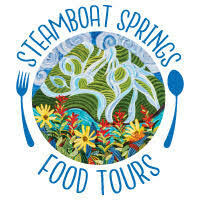 A great idea for your foody group, Steamboat Springs Food Tours offers a way to check out some of the locally owned restaurants all in one afternoon. They take you on a tour of 5 different restaurants in the area where you are able to enjoy different food parings as well as signature drinks. Enjoy a margarita and tacos rooftop while taking in the breathtaking views of Steamboat, a glass of wine on the Yampa River and Greek food at a cozy café. You will also be able to take in historic Steamboat, rich in history and culture, learning things from your personal guide while walking to each location, all close to each other! This culinary tour takes care of everything for you with no waiting in lines, no paying bills or waiting for your tab. Tours can last 3 or more hours so there is plenty of time to relax and take a break from the slopes with the family. You are also able to meet and talk with the chefs at each unique eatery. All tours take place rain, snow or shine, and will also cater to any gluten free or Veggie folks. Just let them know when purchasing your tour. A Steamboat staple, F.M. Light & Sons has been around over a century! 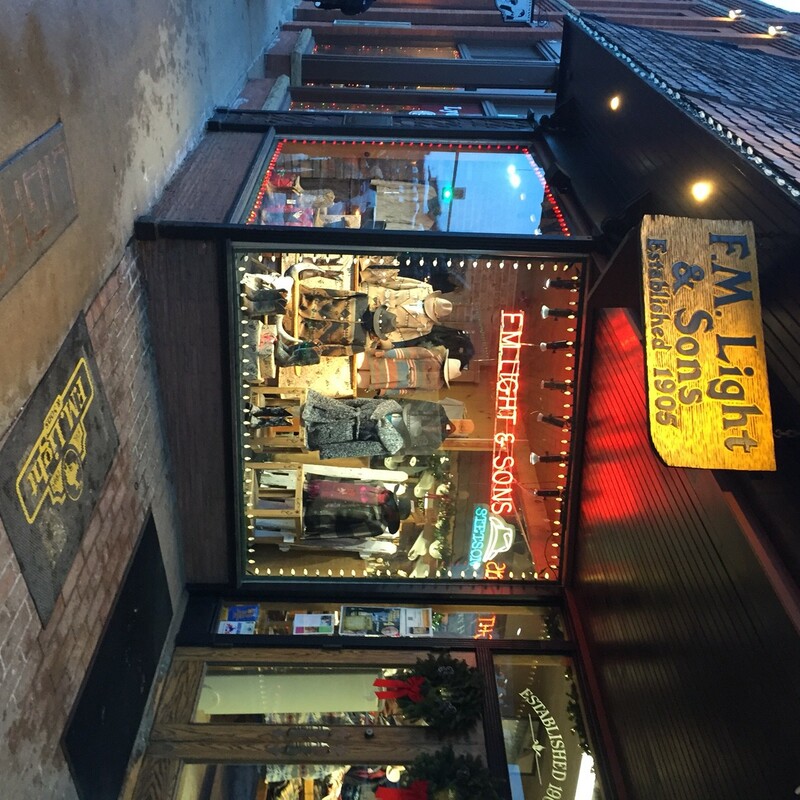 Open year round, this western store has everything you can think of with brands like Stetson, Carhart, Ugg, Lucchese and Pendleton among many others. When you want to plan a remote getaway to refuel and relax without the hustle and bustle of big resorts, consider a luxury ride in the party bus to the secluded ski area of Kendall Mountain. We’ll pack up your luggage and gear and take you to the ski area which is perfect for beginners who will find plenty of slopes to practice their form without expert skiers flying by. Kendall is considered a great place for new skiers to learn to ski at their own pace and without any pressure. 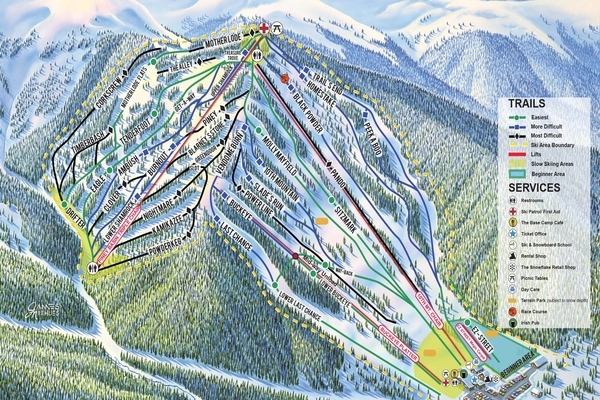 The ski spot is located in the San Juan and Jemez Mountains and offers ski-enthusiasts 35 beautiful acres of rolling terrain and a modest, 400-foot vertical drop. And, if it’s not fast enough for some in your group, it’s right next to Silverton Mountain Ski Area loaded with expert-only terrain and fast, graded slopes. Kendall has three groomed slopes, 11 trails, and 1 lift for a relaxing day of skiing for the whole group. And, since Silverton is an old mining town, history buffs will enjoy the local lore and charm of the authentic lodging options. Since some of the shops in town are seasonal, you’ll certainly get the feeling you’re in the middle of nowhere. 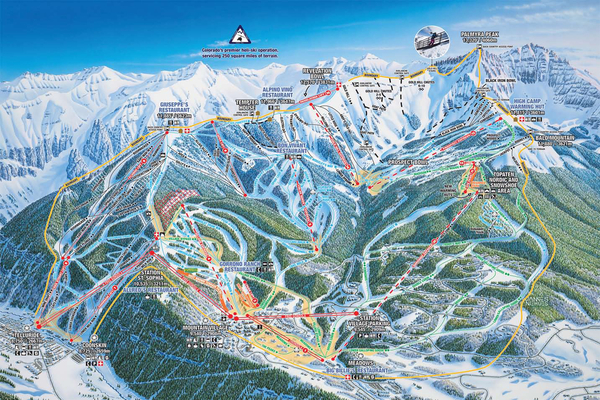 If your group loves night-skiing, let us take you in the party bus to Colorado’s largest night-skiing operation, Keystone, which has lifts operating until 8 p.m. With ski trails spanning across the three impressive peaks of Dercum Mountain, the Outback, and North Peak, more runs have been added over the years and the area has grown from a beginner’s hot spot into a training stop for national ski teams. Visitors can enjoy exploring the mountain region on day-long guided snowcat tours and staying in the well-appointed lodge surrounded by shops and restaurants in Lakeside Village, the original section of the resort. The newer area, River Run, was built at the base of Keystone’s gondola in the center of the resort in colors complimenting the environment and with materials mimicking the natural surroundings. Two of the most popular restaurants at the resort are Ski Tip Lodge and Alpenglow Stube. Ski Tip’s interior dates back to the 1880’s but its contemporary cuisine features a four-course, pri-fix menu with dishes like whiskey sage-glazed Muscovy duck, peppered bacon-wrapped buffalo tenderloin, and wild Alaskan halibut. And, at Alpenglow, visitors will love the exposed wood beams, stone fireplace and stylish furnishing while dining on dishes like their signature ragout of blue crab or pepper-dusted wild boar tenderloin. 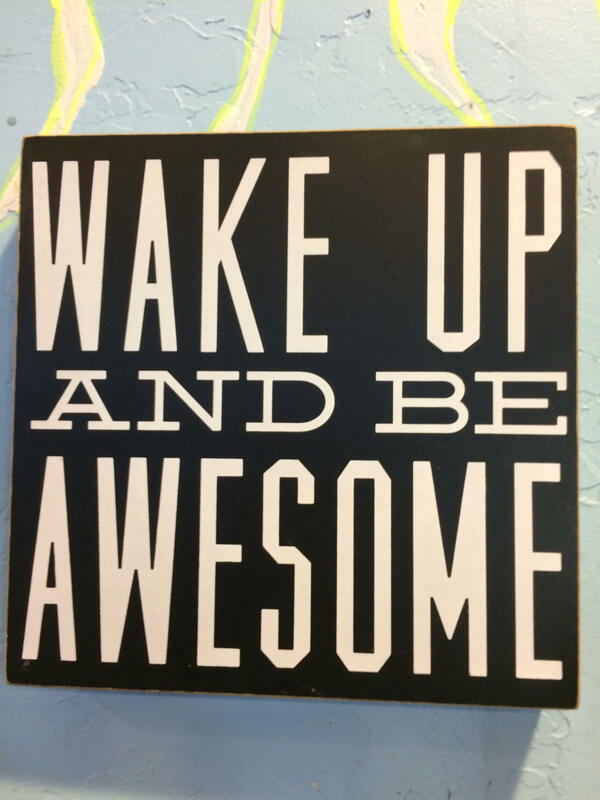 With breakfast served all day and Happy Hour at 2:00 PM, why not stop here on your next visit to Keystone?! They have a great menu and the Happy Hour includes shot specials and $3 beers. That’s ALL beers by the way, not just the PBR! But their Happy Hour isn’t just for adults. There is a kids Happy Hour with all kids meals and kids ice cream sundaes for $3! You just can’t beat it. They also have hot drinks with a twist if you want to make a stop after a run on the slopes to warm up. The Loco Cocoa is hot chocolate with peppermint schnapps, topped with whip cream, chocolate sauce and a cookie. Or try the Hot Apple Pie which is hot apple cider with Tuaca, whipped cream and sprinkled cinnamon and sugar. YUM! New Moon Café is located in Keystone’s River Run Village, just steps from the gondola so is very convenient for a quick pop in and pop out. If you are visiting on the off season, an awesome way to explore the beautiful Rockies is on bike. Check out Keystone Bike Park with fifty-five trails and more than 2,000 feet of vertical drops! The park consists of some of the country’s best downhill trails. For all skill levels, mountain bike through mellow bridges and berms, rock gardens and rock drops. Experience the thrill of downhill while being submersed in the beauty of the mountains. There is more than 100 miles of single track for touring or for a more laid-back day, take a cruiser ride or road bike along miles of paved paths. For those who have never been mountain biking, Keystone Bike Park provides Bike Clinics and a Skills Park. These will help you learn the ropes before taking the chair lift up to the more advanced terrain. 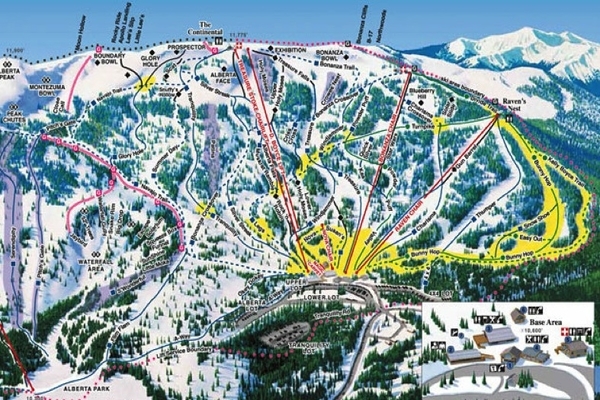 Just 53 miles west of Denver in the city of Georgetown lies Loveland Ski Area. Let us take you and your ski friends in our party bus to the magnificent expanse of terrain averaging 422 inches of snow annually, and 1,570 acres of skiing area. Loveland is a ski and snowboarding extravaganza. The base elevation is 10,800 feet and the summit elevation is 13,010 feet. 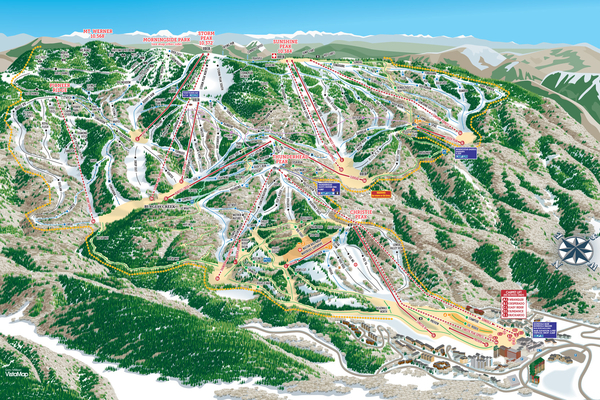 The ski area boasts a vertical drop of 2,210 feet and features short runs with one long run covering two miles. And, its season runs from October through May. Guest will thrill at Loveland’s 93 trails, slopes designed for beginners, and challenging intermediate runs for skiers and snowboarders. 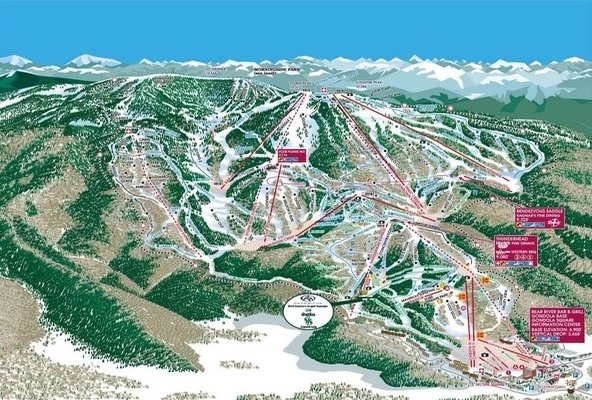 Loveland offers two double lifts, three triples, three quads and one surface lift, and the ski school has a unique magic carpet lift. Loveland Ski Area guests can explore the terrain park layered with jumps and jibs for all ski and snowboard enthusiasts. After a great of skiing, head to the resort to enjoy the restaurants and bars for dining and mingling. Guests will enjoy the local cuisine like burgers, pizzas, sandwiches, and Mexican and Italian dishes. On warm days, outdoor barbecues are featured on the Basin deck. And, travelers can enjoy other snow sports like sleigh rides, ice-skating, cross-country skiing and snowshoeing. A perfect fit for new skiers in your family, Loveland Valley is a great family getaway to arrive with a drive in our party bus or luxury shuttle. The beautiful ski area which is considered part of the Loveland Ski Area and the Loveland Basin, was designed with beginning skiers and fostering a love of the sport in the young. Loveland Valley is home to the Ski and Ride School, attracting ski-hopefuls from neighboring areas as well as the Loveland Ski Club. You’ll need a good list of dining options when bringing the whole gang for a skiing excursion and there’s plenty of tasty options to choose from like the Loveland Grill in The Basin Lodge which was given a was a total remodeled recently and offers a variety of delicious, affordable options for hungry skiers, riders and their families. Have a hearty dish of biscuits and gravy, pancakes, and omelets for breakfast before heading out to the slopes and head back for lunch to dine on yummy daily specials, pastas, soups, chili, burgers, and salads. Another great dining option is the Loveland Deli, located in the Basin Lodge, which cooks up favorites like made-to-order sandwiches, freshly made pizzas, soups, chili and salads. The deli also bakes up some of the area’s best, freshly baked cookies, brownies and other treats. When you’re looking for a ski spot that caters to every personality in your group, let us lead the way in the party bus to magnificent Monarch Mountain in the party bus. Beginning skiers and expert hill hounds will both have the time of their life. And, for those who like to do some sight-seeing while they’re enjoying snow sports will find the nearby town of Salida a charming place to spend the day exploring a Victorian mining town with plenty of good shops and restaurants. When you’re ready to head to the slopes, you can expect a 1100-foot vertical or take it easy on the Tumbelina lift for novice skiers. Stunning views abound from the a ride on the Panorama chair which lifts you to east and west ends of the mountain. Take a walk in the solitude of nature in the Curecanti Bowl which leads to the powder-laden runs of Milkwood Bowl. Enjoy cafeteria cuisine at the base lodge or change into dry clothes and head to the Sidewinder Saloon for a great variety of dishes paired with local beers. Accommodations are offered up the valley at Monarch lodge as well as short-term home and cabin rentals. Known for its affordability and unique vistas spanning the desert floor of the Grand Mesa, Powderhorn Resort is a fun and casual ski and snowboarding spot that’s a favorite with the locals. So, hop inside the party bus or one of our luxury coaches and enjoy the picturesque ride to the slopes. Powderhorn Resort, previously known as the Powderhorn Ski Area, welcomes families and groups to a trail-laden terrain featuring more than 1,600 acres for exploring. And skiers will enjoy the bumpy runs and smooth glades that provide just the right amount of challenge for advanced riders. Two chair lifts service the ski area that gets a nice 250 inches of snowfall on average each season and the semi-arid climate of the Powderhorn region helps keep the snow a perfect, dry powder. 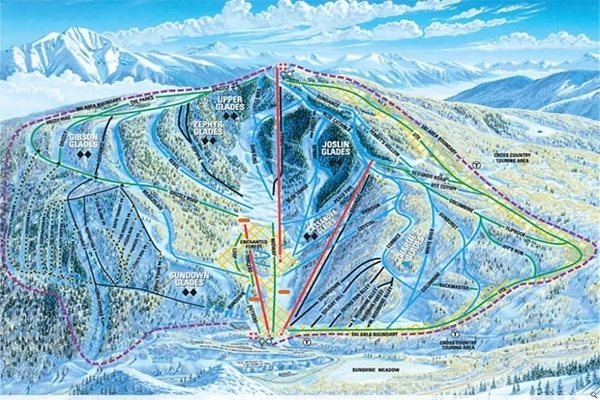 And, guests can expect amenities like a ski school, retail shop and two restaurants for fueling up between snow riding. There’s plenty of outdoor activities to enjoy in the Grand Mesa in addition to skiing such as a network of trails for snowmobiling, cross country skiing and snowshoeing. Access the trails from the top of Powderhorn Resort where you can rent cross-country ski equipment and snowshoes. When you’re planning a mountain vacation for any time of the year, let us take you to Durango Mountain Resort at Purgatory in the party bus or luxury shuttle for winter and summer recreation. Ski magazine listed it as one of the “7 Great Mountains to Ski” and its village is filled with great amenities, up-scale shopping and some of the best restaurants in the area. And, at Purgatory, you can do it all: ski, snowboard, snowshoe, snowmobile, cross-country, or just take a sleigh ride and explore the scenery. It’s known for having some of the best mountain views around. 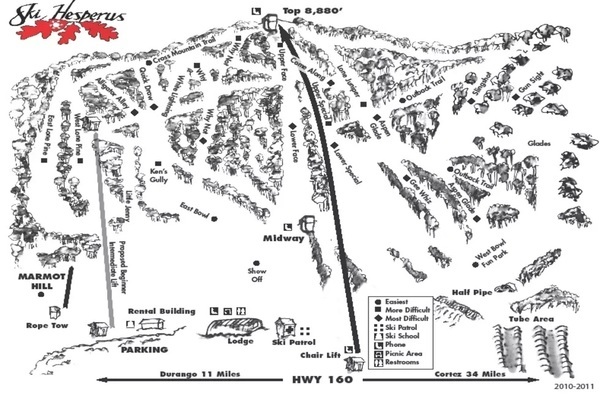 Named Purgatory Ski Resort when it was built in 1965, it’s since been changed to Durango Mountain Resort due to its proximity to nearby Durango. Situated in the rugged, scenic San Juan Mountains, the resort expects an average annual snowfall of 260 inches and an impressive 300 days of sunshine for ultra-fantastic ski conditions. The ski area spans 2,400 acres with 723 acres of maintained terrain featuring a 260 foot Half Pipe, plenty of rails, moguls, and a medium size jump spread out across 88 trails and 10 lifts which take skiers and snowboarders to access it’s well-groomed runs. Experience beautiful Purgatory Ski Resort on a snowmobile with Snowmobile Adventures! You are sure to be in good hands with their professional and knowledgeable guides, taking you deep into the backcountry on a Polaris snowmobile. With over 35,000 acres of terrain and 75 miles of trails, see and experience something you have never done before! Check out historic sites, breathtaking panoramic views of the San Juan Mountains and vast meadow playgrounds. You can do a 2, 3 or 4 hour tour, taking in most of the trails with plenty of time to stop and take pictures to capture every moment. Never been on a snowmobile, no problem. The experts will help you determine what tour is best for your skill level. If you are still worried about driving your own, Snowmobile Adventures now offers a Snowfari Tour! The experts do the driving and you just sit back, relax and take in the views. Let us take you in the party bus to what some call the most challenging ski area in America. Gather your ski buddies and ride in style on the way to the highest ski area in North America with a summit reaching 13,487 feet and some of the steepest runs available. It’s no wonder Silver Mountain is primarily a guided ski adventure with select times allotted to unguided skiers equipped with avalanche gear. Situated in Silverton, Colorado, just 52 miles from the Durango Airport, the ski area is considered to be nature at its wildest. You won’t find groomed trails like most resorts, but what you will get to experience is the thrill of staring down a 10,000-foot vertical drop. Silverton is pure black diamond skiing surrounded by panoramic views and an incredibly 1,800 acres for snow sports and hiking. One chairlift unloads guided skiers to amazing views and thrilling snow riding. Silverton features acres of sparkling bowls, chutes and rugged cliffs. Averaging a massive amount of snow—400-plus inches, and a scant amount of skiers, you can expect fresh tracks. When planning a trip, there are several options to choose from. In December, January, and April, skiers can ride without a guide. For the rest of the time, skiing is guide-only. And, helicopter assistance is available. Whether visiting in the summer or winter months, Rock and Ice Pirates has you covered for your next epic adventure! Rock Pirates, backcountry adventure tours & rentals, is open as soon as the trails are free of snow, typically Mid-May through October while Ice Pirates is open in the winter months. Within the last several years, Silverton voters passed a measure to allow OHV and unlicensed dirt bikes to operate in the town streets and all through the Animas Forks and other popular passes. Locals and visitors alike are now able to enjoy the great outdoors like never before! Through Rock Pirates, you are able to rent from a full fleet of 2017 Polaris Side by Sides which include a touchscreen GPS unit, a lock and ride cooler, push button 4-wheel drive, reverse and automatic transmission. 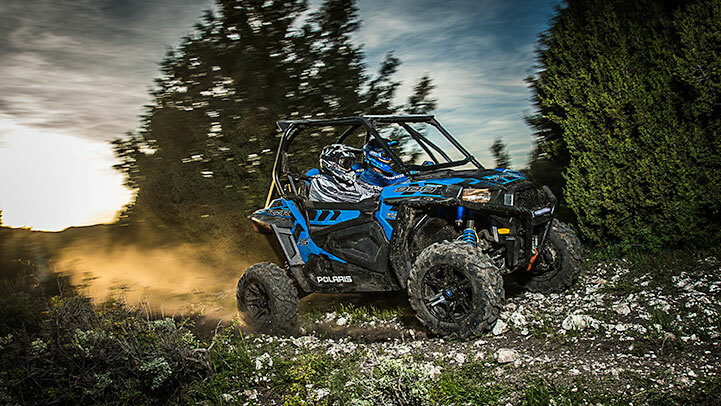 These OHV’s are equipped with only the best for your comfort and safety on your off-roading experience. Take in the Alpine Loop, Scenic Mountain Passes and historic ghost towns on your guided tour if you choose or go out on your own with a trail map. Each vehicle also has a SPOT locator for emergency communication to home base. The San Juan Mountains will soon be sprinkled with beautiful red, yellow and orange colors, and Rock Pirates Backcountry Adventures has just launched a unique way to experience fall colors in the San Juan Skyway. They are now offering the Polaris Slingshot, a 3-wheel on-road motorcycle pilot program. The packages include half-day and full-day rentals, perfect for visitors who ride the Durango and Silverton Narrow Gauge Railroad or plan to cruise the historic byway, which runs through Durango, Silverton, Telluride and Ouray. With Ice Pirates, you are able to enjoy the winter months by snowmobile. You can choose from different tour options either a single rider or partner up with a 2 hr, 3 hr or even FULL day tour! Ride where the locals ride and enjoy views from places you wouldn’t be able to visit on foot. It’s ok if you’ve never been on a snowmobile before. All riders go through a safety and training course with their guides prior to hitting the passes. There are different terrain levels for beginners and pros alike. Silverton Colorado is the ultimate basecamp with full access to the San Juan Mountains in the southwest Colorado region. Silverton Mountain is the country’s most extreme backcountry ski area with helicopter drop options and hundreds of miles of groomed snowmobile, fat bike, snowshoe or cross-country ski trails! In the winter you can enjoy skiing, snowmobiling and snowshoeing. In the summer months, explore the beautiful San Juan’s by OHV, hiking, fishing, rafting or camping. Make a stop at the Silverton Visitor Center for local and area literature, check out the current calendar of events and pick up a local restaurant guide. They also have maps & brochures available to help you navigate the area. The visitor center is open year-round, 361 days, and their knowledgeable staff is available to answer any questions your group may have about anything in the area! For small groups or families looking for a relaxing holiday, let us drive you in the party bus to an authentic resort in the heart of Colorado ski country. Famous for being the former training base of the 10th Mountain Division, the WWII ski troopers, Cooper’s runs are some of the finest beginner terrain in the country. Beautiful glades, plenty of powder and nice bumps thrill skiers in a picturesque mountain atmosphere. 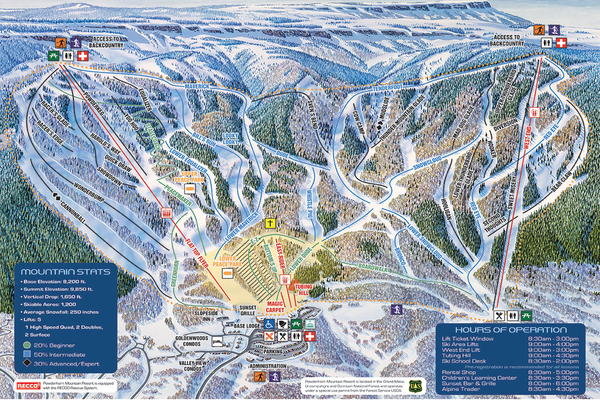 Offering 400 in-bounds acres to explore, skiers have 39 varied trails to explore served by 4 lifts. And, if you want to get out and explore the countryside, Cooper has 2,600 acres of wide-open powder bowls and groomed glades served by snowcat tours on its Chicago Ridge. Serving great food to its guests for years, skiers rave about the food offered at Cooper’s cafeteria featuring smoky burgers, pizza, hot sandwiches, salads, and soups. And, after a great day of skiing, stop by Katie O’Rourke’s Irish Pub for a cheerful, character-filled environment to relax with a locally-made cold micro-brew, a glass of wine, or devilish cocktail. Katie’s pub fare ranges from warm, crispy appetizers to full dinners including classic Irish favorites. And, many stop by to sample their “Kerrigan’s Irish Stout,” a full-bodied Stout brewed locally. Alpine Adventures offers exciting dogsledding tours that are great for the whole family. It is a seasonal business so if you are planning your winter ski trip, try and fit this one in. It will be an adventure your family will be talking about for years to come! They serve all the popular resorts areas including Vail, Beaver Creek, Breckenridge, Copper Mountain, Frisco, and Keystone. They are also a rescue facility for sled dogs, taking in retired race dogs from all over the country. All dogs will have a forever home there although they do adopt out any of the dogs to loving homes that are committed to providing them with the quality of life they deserve! With over 100 rescues, they accept donations to continue to provide the level of care needed to support the facility. Let us take you in the party bus or luxury coach to the ski area featuring all the amenities but not the big crowds of other resorts. Just 90 miles west of Denver and near Winter Park, Ski Granby Ranch is a family-operated ski resort catering to skiers of all levels. Offering easy lifts, gladed runs and a terrain park for riders who enjoy tree skiing, multi-day lift tickets, and ski and snowboarding lessons for groups. Comfortable trails line the terrain and are perfect for a day of cross-country skiing and snowshoeing. According to the locals, Granby is a great place for experienced parents to take their kids to learn to ski in a safe and family-oriented environment. Close parking is available to the doors of the facility so we can take you right to the door of the ski rental department. After a day of skiing, the Granby family invites guests to enjoy the variety of dining options at the resort including comfortable, sit-down dining as well as convenient counter service. And, if you’re looking for additional activities to enjoy during your stay, a golf course, mountain bike trails and exploring the nearby river are great options. 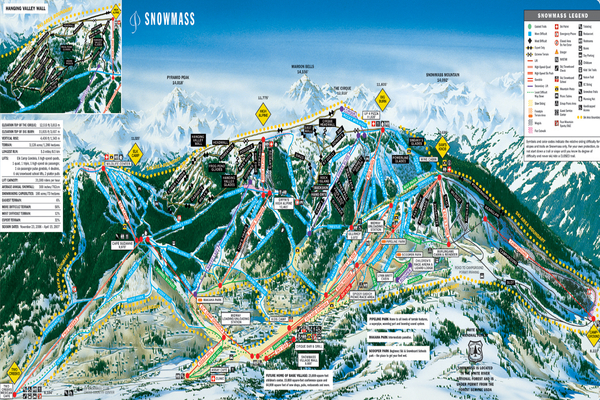 Snowmass gets its name in part to the size of the mountain itself. 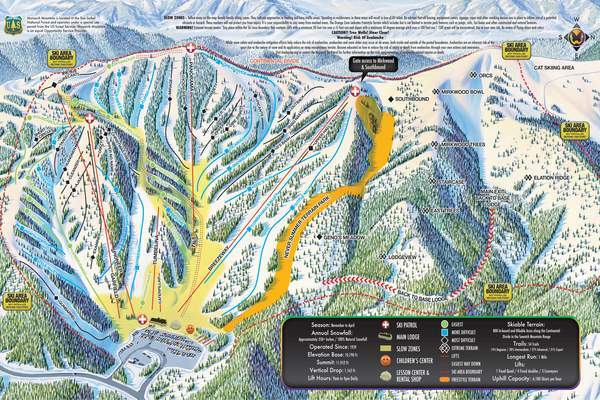 So, let us take you in a luxury shuttle or the fun party bus to take in the wonder of the massive Aspen ski area with a 4406-foot vertical rise and impressive 5.3-mile run to keep you gliding for a long stretch of snow. Expert terrain is spread out across the Burnt Mountain Glades, High Alpine and the Cirque and the beginner trails are kept in prime condition for those new to the sport. The ski area offers a 22-foot, Zaugg-cut superpipe and, tubing facilities are now open with multiple lanes accessed by lifts near the Meadows at Elk Camp. During festivals and holidays, the runs are illuminated to the thrill of night riders. Aspen and Snowmass Village prides itself on having an international credibility from its restaurants. Every June, the Aspen Food and Wine Festival attracts food enthusiasts from the surrounding areas and all over the country. The culinary pride shows in the slopeside restaurant, Sundeck, featuring creative cuisine and stunning views of Snowmass. Run by Aspen’s only five-star, five-diamond hotel, The Little Nell. 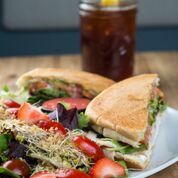 Sundeck offers healthy, made-to-order stir-fry dishes, inventive soups, pizzas, top-notch salads and up-scale sandwiches. A great place to visit on your next trip to Aspen is Snowmass Ice Age Discovery Center. In 2010, a construction crew unearthed a single tusk of a young female mammoth while digging at Ziegler Reservoir. The Denver Museum of Nature and Science took over the site and went on to find 5,000 bones of 10 mammals and over 26,000 small bones from small vertebrate animals– 40 species in all. The 10-month project became a race to uncover and carefully extricate these bones. Mammoths, mastodons, camels, horses, sloths, and other species, as well as insects, plant life and more were found. The Snowmass paleontological site is the richest Ice Age ecosystem found at high altitude. 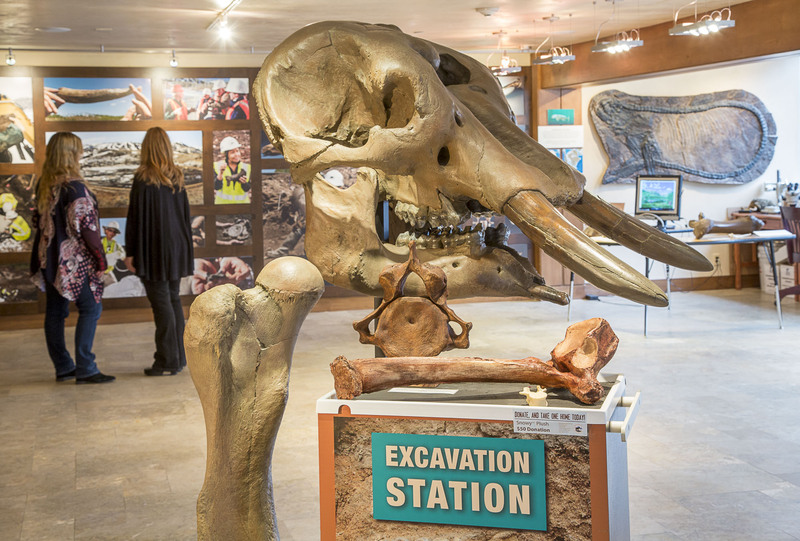 The Snowmass Ice Age Discovery Center, located on the Snowmass Mall, provides guests with photos from the find, to-scale cast replicas of bones found at the dig site, and an on-site paleontologist. Definitely a wonderful outing for the whole family! Gather the whole clan in the comfort of one of our shuttles or the party bus for a ride to the ideal ski destination for families of all sizes. Steamboat ski area was called the “Premier Family Ski Resort” by Jetsetter and was ranked in the top 10 family ski resorts by Ski Magazine and Forbes Magazine over the last three years. And, if that’s not enough enticement, the ski area offers a Kid Ski Free and Grandkids Ski Free program. Situated near Gondola Square, Steamboat Grand is great for families because of its convenience to lifts, variety of room types and long list of amenities. Guests can choose from standard hotel rooms, hotel rooms with lock-offs, penthouses and studios. And, everyone will enjoy relaxing in the hot tubs and salt-water pools. Night skiing is one of the other big draws offered by Steamboat ski area from Thursday to Monday. And, the other activity bringing travelers from all over the region is Saddleback Ranch, just 15 miles outside of Steamboat Spring. The 8,000-acre, fourth-generation, family-owned working cattle ranch offers snow tubing at Yee-Haw Hill, and a 45-minute Belgian Draft-drawn sleigh ride to Double Dollar Lodge. Walk into Western lodge and be welcomed with hot chocolate and apple cider and dinner shortly thereafter. After a long day on the slopes, there is no better way to relax than at the Neptune Healing & Float Spa. They offer the experience of floating, being weightless and free of gravity. They are home to the Float Pod®. This pod is filled with ten inches of water with 900 pounds of magnesium sulfate (aka Epsom salts) which allows the body to float effortlessly while completely supported. By being weightless in this way, known as Floatation Therapy, you will feel less tension, anxiety and pain all while improving your mood and sleep. This type of therapy is clinically proven to help the body heal. There is no need to readjust your position to feel comfortable as the lack of gravity in the water allows your body to flow freely. This is the ultimate in relaxation and if you’ve never tried it, why not make this a first and you are sure to come out a whole new person! The Crooked Key is 5 star rated place that has Live Escape Games which are fun for your whole group! Take a break from the slopes and have an evening with the family learning how to problem solve, work together and escape a room! A truly unique team building experience that allows you to collaborate with others to escape from a themed game room in an hour or less. In one of the themed game rooms, the mission is to escape jail. Your party is being held in a jail on murder charges and you have to find a way to recover the evidence against you to escape! While you have an hour to do this, the goal is to finish as quickly as possible. 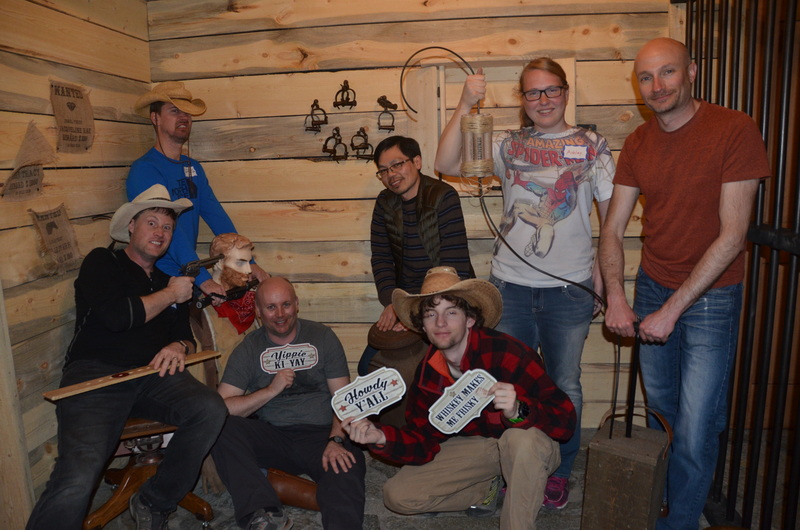 Current records for solving and escaping a room are posted. You need at least two people so it can be a great date night idea as well. Imagine how much you can bout how you work together by trying your hand at one of these Live Escape Games. There is no experience necessary so you don’t have to be a detective or a scientist. Just come with an open mind and your creative genius will emerge! A fun thing to do while taking a break from skiing is taking the family to Steamboat Art Strokes. You can paint and sip wine while creating wonderful art with your family or friends. It’s a great bonding experience and also very relaxing! All supplies are included and there is no experience necessary. You will be provided with an artist quality canvas, pallet, paints, and apron to protect your clothing, a complimentary drink and a light snack. It is an artist guided session in which you will learn the process of painting while socializing with your friends and family. You are able to create a painting you can take home as a little souvenir from your trip to Steamboat! This is a great outing for all age groups. 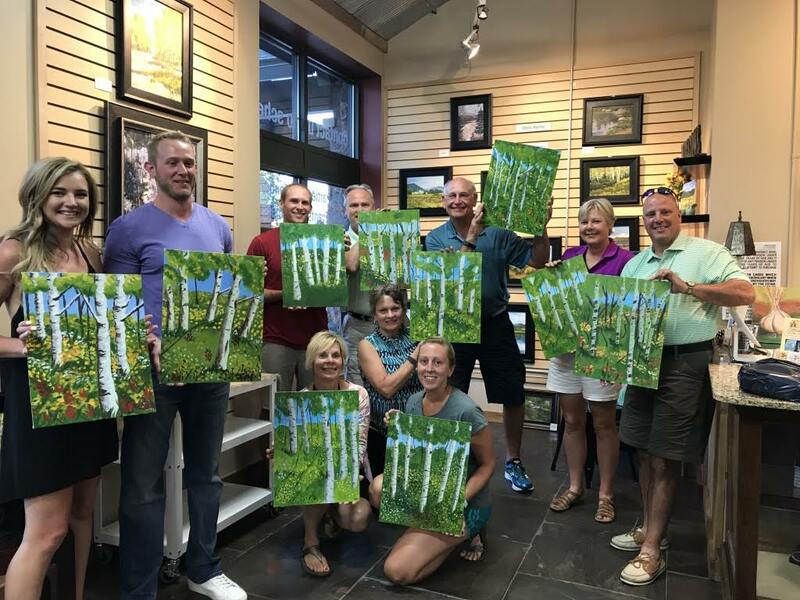 Bring out your creative spirit and enjoy a relaxing evening at Steamboat Art Strokes. Cradled in the Rocky Mountains, Sunlight Mountain Resort is a place where the powder lasts for days due to the lower crowds traversing its 67 trails. So, plan a trip with your friends and we will drive to in the party bus or a luxury shuttle right from the airport to the winter recreation area just 12 miles south of Glenwood Springs. With a nice mix of affordable lift tickets, rooms for under $100 a night, and slopes to entertain all abilities of skier, Sunlight has the added advantage of placing you in perfect proximity to the world’s biggest hot springs at Glenwood Hot Springs. Nothing could be more soothing after a rigorous day on the slopes. The resort averages 250 inches of snow annually and boasts a whopping 300 days of sunshine. An array of outdoor activities will keep everyone in your group entertained including snowboarding, snowmobile riding, cross-country skiing, and hiking the stunning terrain. And, a nice variety of dining options will cater to every taste. If you’re travel plans bring you to the area after snow season, Sunlight continues to be an outdoor playground with plenty of activities in Glenwood Springs like whitewater rafting, to mountain biking, road biking, and horseback riding. Acupuncture is a part of the infinity of Chinese medicine which has been in practice for several thousand years. It is believed that being healthy is when the YIN and YANG within our bodies are in balance. Acupuncture uses very small stainless-steel needles to stimulate certain acupuncture points in the body to increase circulation returning the body to a more balanced state. It is recommended to wear loose fitting clothes, pants that can be pulled up past the knee and shirts that can be pulled up past the elbow. It is also recommended to eat a small snack prior to treatment. 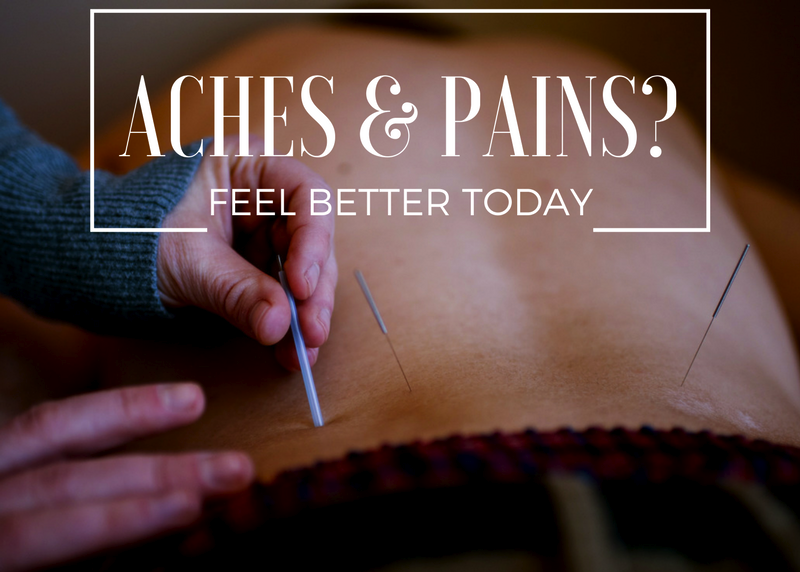 If you’ve never had Acupuncture before, you might be wondering if it’s painful. Occasionally you may feel a pinch when the needle is first inserted but it goes away very quickly. Once the needle is inserted, you may feel a dull ache, throb, heat, cold, tingling, pulling or you may feel nothing at all. All of these sensations are a good sign your body is receiving the healing signals from the pins. Everyone feels something different in every treatment. For example, if you experience back pain and have for 10 years, it is possible to alleviate this pain with one treatment. However, since we are all different and react differently, it may take several treatments to alleviate the chronic pain. After a long weekend on the slopes, one treatment could help give your body what it needs and put your body back in balance. The Glenwood Springs Vaudeville Revue 2009 Summer show. A great place to take the family after a fun day out on the slopes is The Glenwood Vaudeville Revue. Back in the day, Vaudeville was the only entertainment around. Folks used to travel across the country performing in small theatres and creating lasting memories for those who were able to see them perform. Go back in time and be part of this experience at the Glenwood Vaudeville Revue. It is a two hour dinner theater show with performances in comedic skits, dance, songs that are sure to entertain your group! Enjoy a meal prepared by one of Glenwood Springs best restaurants and laugh the night away. They have a 5 star Trip Advisor rating and were awarded the 2016 Certificate of Excellence. This would be a great outing for your group and fun for all ages. When you’re heading to one of the most coveted ski area’s like Telluride, what could be better than traveling there in the comfort of our party bus or luxury shuttle with all your luggage and gear packed with care? Arriving at Telluride, you can expect to find a Victorian-era town with a backdrop of 2,000 acres of ski terrain and impressive resorts nearly everywhere you look. It’s a ski town at its best and lodging options range from the ski-in, ski-out vibe of places like the Peaks Resort and Spa and the Inn at Lost Creek to rentable homes and condos. The views in Telluride are spellbinding and span from magnificent mountains with jagged peaks casting shadows on some of the best sunsets you can find. Traversing from Telluride to Mountain Village is a breeze with a ride on Telluride’s free Gondola. And, you can hop off the gondola in San Sophia Station and visit the resort’s popular restaurant, Allred’s. 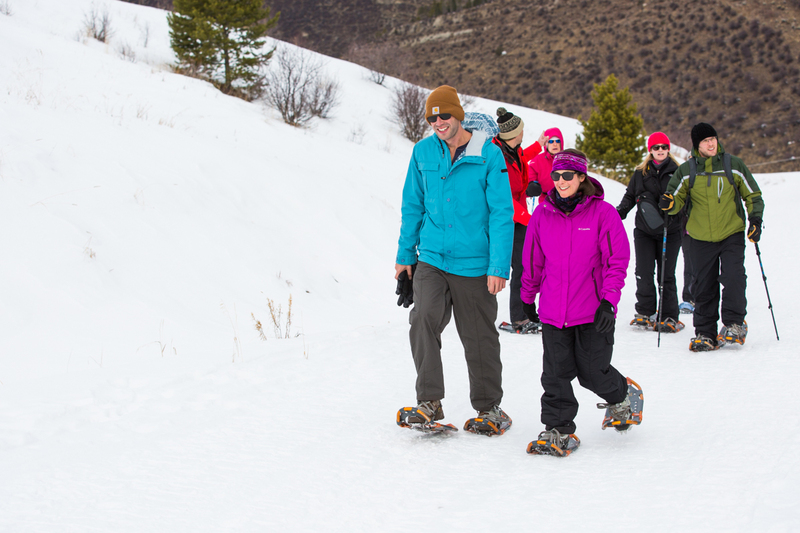 A fun activity in Telluride is booking a free tour with an available Mountain Ambassador and learn about the history of the area and how to best explore all the terrain. For the ice skaters in the group, rent some skates and enjoy gliding around the Mountain Village ice rink next to the Madeline Hotel and Residences. Throughout the snow season, Telluride features a calendar-full of live music and events, from a local concert series to rail jams. Mind Blown at the Madeline is a new show only available at the Madeline Hotel in Telluride. End your day skiing by taking the family to see the amazing magic of Ty Gallenbeck. Tickets are limited and he often sells out quickly so you need to purchase in advance. 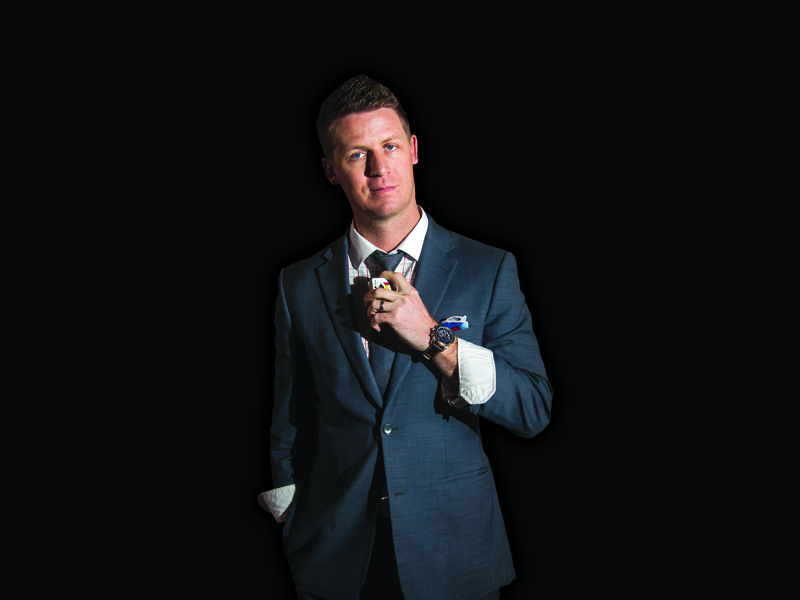 Ty is a Colorado native and an incredible illusionist who has been performing for over 14 years. His tricks will leave you stunned and questioning reality. The show is very interactive and is recommended for those 12 and up. With such an engaging personality, you are in for quite an enjoyable evening. Trip Advisor has named this the #1 show in Telluride! Sit back, relax and be wowed by the magic of Ty Gallenbeck! 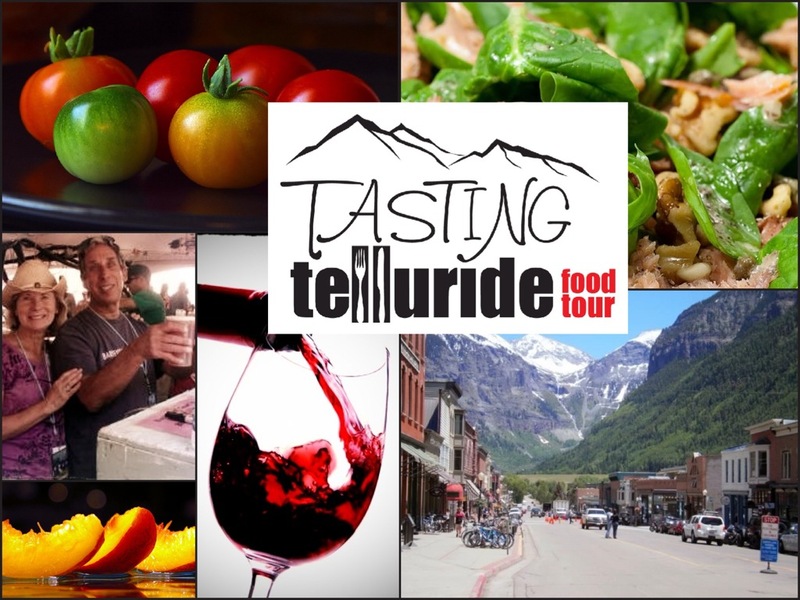 If visiting Telluride in the summer months, June-September, a great outing for family and friends alike would be booking a Tasting Telluride Food Tour. Led by locals, Louis and Howie Stern, who have been living and breathing the Telluride air for over 40 years, you are sure to have a one-of-a-kind experience. With a 100% positive Trip Advisor rating, this guided culinary walking tour is among the best things to do on your next visit! It is a 3 hour tour, taking your group to some of Tellurides unique eateries, sampling dishes and learning about the history of this wonderful area. There are set tour days and times however you are also able set up a private tour upon request if you like. Get out there, meet the locals and try some of the very best foods and spirits in Telluride, located in the beautiful western San Juan Mountains. Vail is the epitome of ski resorts in the country and we can take you in style in our party bus to experience one of its famous black bowls, expansive 5,289 acres, 193 trails and upscale accommodations, shopping options, and world-class dining. Considered to have the best-groomed terrain of any resort, Vail has been the top winter vacation vista for more than 50 years. Guests will have the opportunity to explore its bustling pedestrian village, dining options and unique lodging to fit any budget. 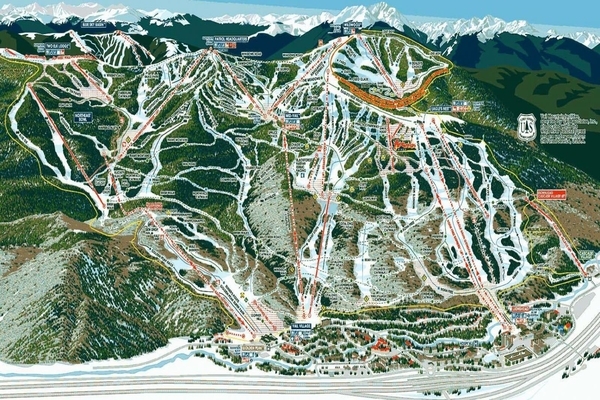 Vail first starting operating lifts in 1962 and now, is considered one of the largest ski areas in the world with it exceptional gondolas, on-mountain facilities, and events. Situated at the base of the ski mountain, the village of Vale is charming and vibrant. The renowned dining scene is comparable to the upscale shopping experiences. And, families will enjoy the ice skating rinks, movie theater, bowling alley, candy shops and concert venues to keep everyone entertained. Food-lovers gravitate to Vail for its vibrant culinary scene. For such a small town, visitors will amaze at the sit-down lunch features on the mountain at The 10th, the amazing Japanese food from Nobu Matsuhisa’s or the South American fare at Matsuhisa’s. 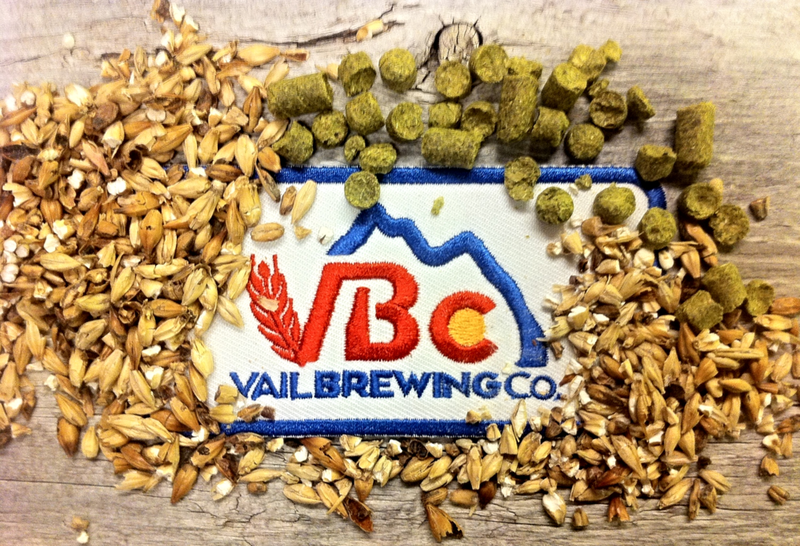 With two great locations, Vail Village in Solaris Plaza and Eagle Vail off US Hwy 6, Vail Brewing Company offers artisan, hand-crafted ales brewed in small batches. 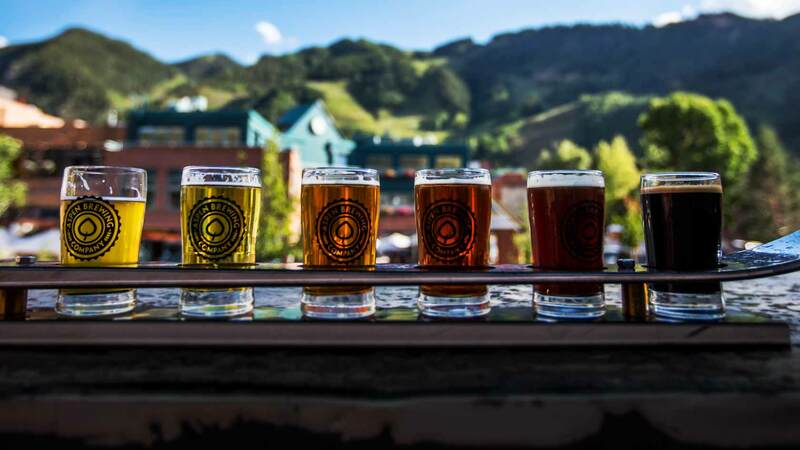 These beers are only available from their tasting room in Eagle-Vail and a handful of local restaurants. They brew big hoppy beers, traditional styles, blends and even cask-conditioned ales. Using only mountain fed water and the best ingredients, the brew masters only make what they will drink and we are glad for it! You truly feel like you are having something no one else can have when visiting since you aren’t able to find these brews outside of Colorado. With live music every Thursday at their Eagle Vail location and a menu that constantly changes to reflect new flavors and brews, you’ll want to check them out on your next visit. 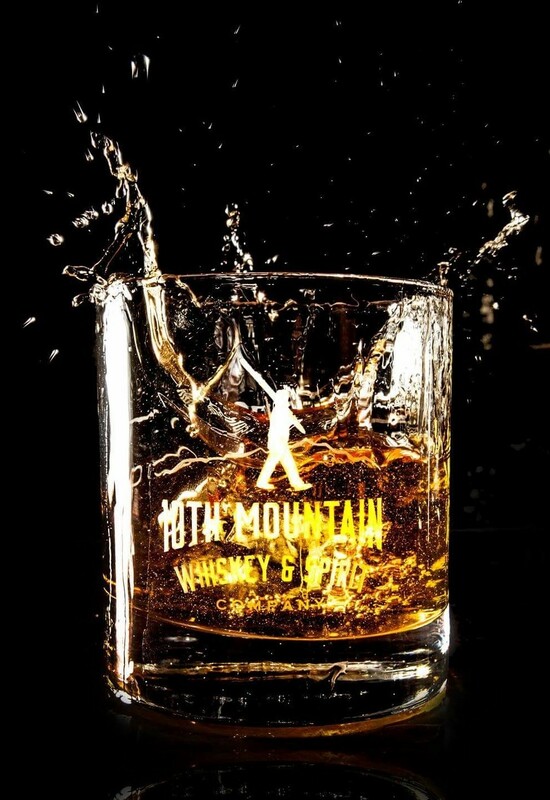 The 10th Mountain Whiskey & Spirit Company is a premier distillery in Vail. They craft spirits from locally sourced ingredients in the name of the mountain lifestyle that was influenced by the original 10th Mountain soldiers. 10th Mountain is a tribute to the 10th Mountain soldier and to those that enjoy the mountain lifestyle, living it fully, every day. The Vail tasting room is open 7 days a week. 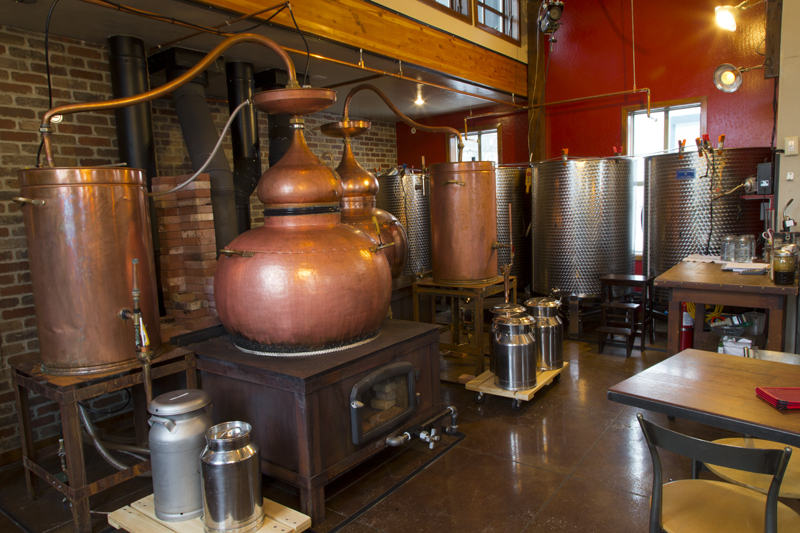 If you’d like to make a trip to the distillery to see everything in action, it’s open on the weekends or by appointment in Gypsum, Colorado. You can also purchase spirits by the bottle as well, including moonshine, whiskey, bourbon, vodka and cordial, and they ship to 27 states! Check out the 10th Mountain Whiskey & Spirit on your next trip to Vail. It’s a great way to end a long day on the slopes. Vail Valley Food Tours provides guests with a fun and unique experience in the Vail valley by providing “Tasty Adventures”. The Walking Food Tour is a leisurely historical walk around Vail Village where guest can enjoy samples from five local eateries for lunch. The Bikes and Bites Tour is a guided bike ride from East-Vail to Eagle-Vail that includes local history and tasting stops throughout the ride. The tour ends at Vail Brewing Company for a beer and tacos from a local favorite taco truck, Rocky Mountain Tacos. 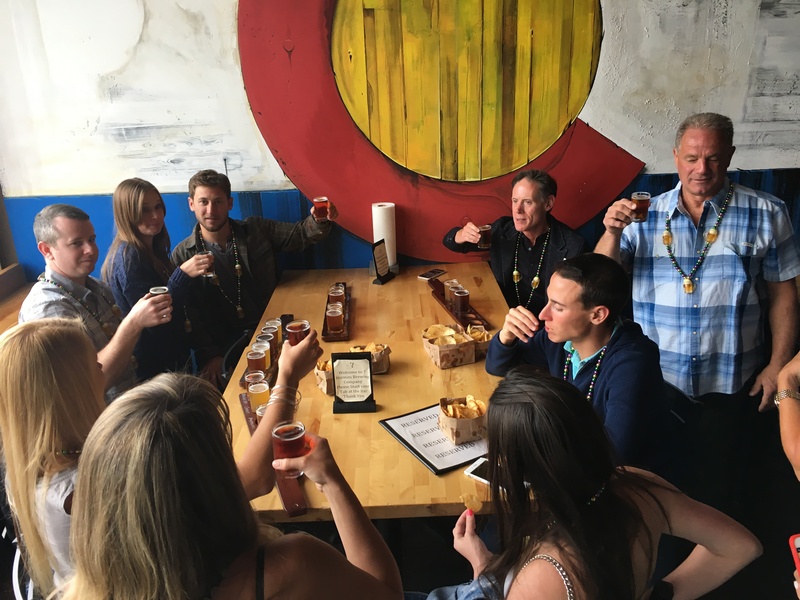 The Brew Tours and Suds, Spirits and Smokes Tours are happy hour tours where guests are driven throughout the valley to local award- winning breweries, distilleries and dispensaries for tastings. Although some information is provided, these are a little looser format and mainly about experiencing the tasting rooms and sampling the brews. Choosing Vail Valley Food Tours on your next trip to Vail would be a great outing, at any time of the year, for families and groups alike. If mogul-skiing is what you and your friends are looking for let us drive you and your ski gear in the party bus to Mary Jane, the mountain peak ski area rated No. 1 in North America for mogul skiing. For more than 75 years, Winter Park Resort has welcomed ski enthusiasts of all ages to its 3,081 acres of wild and wonderful terrain. Great accommodations are available like the Winter Park landmark, The Vintage Hotel, located at the entrance to the resort. Vintage offers 114 well-appointed guest rooms from traditional to studios and suites, and most include kitchenettes and fireplaces. Fraser Crossing and Founders Pointe are beautiful lodging options just steps from the base area of Winter Park Resort. The deluxe condominiums range in size from studios to three-bedroom condos and comfortably accommodate any family size. Zephyr Mountain Lodge is the ski-in/ski-out option at the base of Winter Park Resort featuring deluxe condominiums next to the Zephyr Chairlift. After skiing, experience some of the fine dining options like Vertical Bistro & Tap where professional bartenders will make your libation of choice. Vertical features a huge selection of local and international craft beers, signature cocktails, hot toddy’s, flights of whiskey, and fine wines. Skip the lift lines and spend the day skiing or riding on the Continental Divide with Powder Addiction Snowcat. Operating in the Jones Pass area with an operating permit of 2,600 acres, you are sure to have an experience to remember. Only 45 minutes from Denver and running 7 days a week, this is a great day out for locals and visitors alike. All trips include powder demo skis, safety gear, lunch provided by Rudi’s Deli, and 2 free beers at the end of the day, compliments of Steamworks Brewery! The terrain ranges in elevation from 10,500’ to 12,500’ so you are able to experience the Colorado backcountry like no other. The terrain includes High Alpine Bowls, Gladed Meadows, Rock Bands, Open Chutes and Gullies. The average is about 7-12 runs per day so you are sure to get the best out of your Cat Skiing. Go where no one else goes and be the envy of social media. 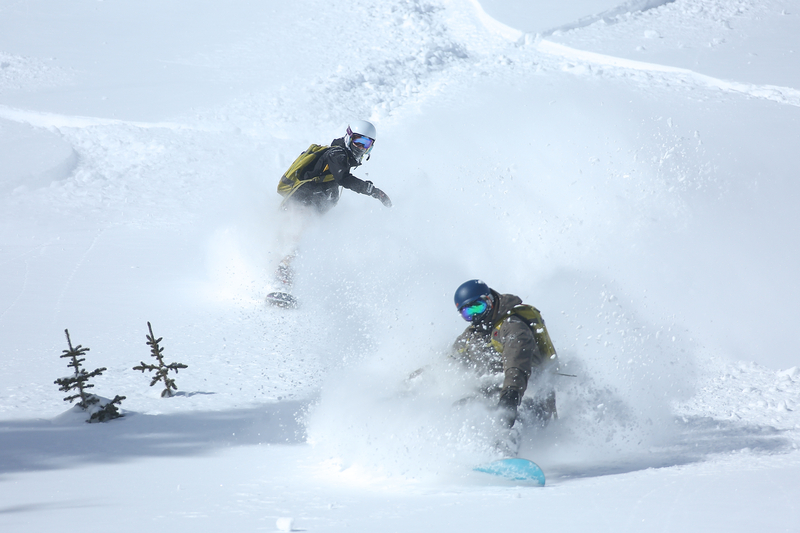 Powder Addiction is sure to give you an epic adventure on your next trip to Winter Park. Looking for some evening entertainment after a long day on the slopes? Winter Parks only movie theatre and bowling alley, The Foundry Cinema & Bowl is a great place for your evening out. You can have food and drinks during your movie including wood fired pizza! They also have a full bar, 8 bowling lanes along with billiards and shuffleboard tables. With all this, there is definitely something for everyone. They also host special events if you are looking to plan something for a birthday or a corporate event, they are happy to reserve an area and set something up just for your group. Located right off Main St, it is conveniently situated near all other amenities and lodging. So close you could even walk there if staying at one of the local lodges on the strip. If it’s an impressive amount of snow you’re looking for, let us drive you to the ski area which boasts the most astounding amount of all the Colorado resorts, an average of 430 inches, at Wolf Creek Ski Area. The ski area has the sweet combination of perfect snow sport elements of superb snow and scant lines at the lifts. Situated in the beautiful San Juan Mountains, the 1,600 acres of ski terrain are equally suited for experts, intermediate and beginning skiers. 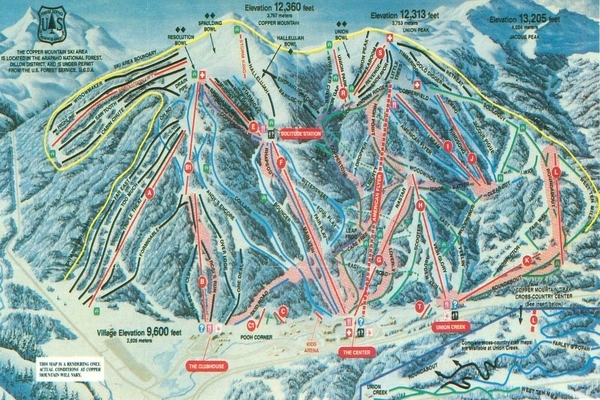 And, there are seven lifts to take you to any part of the slopes you want to go. The family-owned ski area has been in operation for more than 70 years and it’s got a reputation for its outstanding kids’ programs. Kids age 5-8 can join the Wolf Pups program, geared toward fun and basic snow confidence. Kids 9-12 can become members of the Hot Shots Ski and Snowboard Adventures, earning medals and exploring the mountain as they become accomplished skiers. And, the Healing Waters Resort and Spa is a great option with its on-site hot springs swimming pool, outdoor hot tub and indoor hot baths boasting 100% mineral water. And, there are onsite massage therapists in case you need to treat sore muscles after an exciting day of skiing. 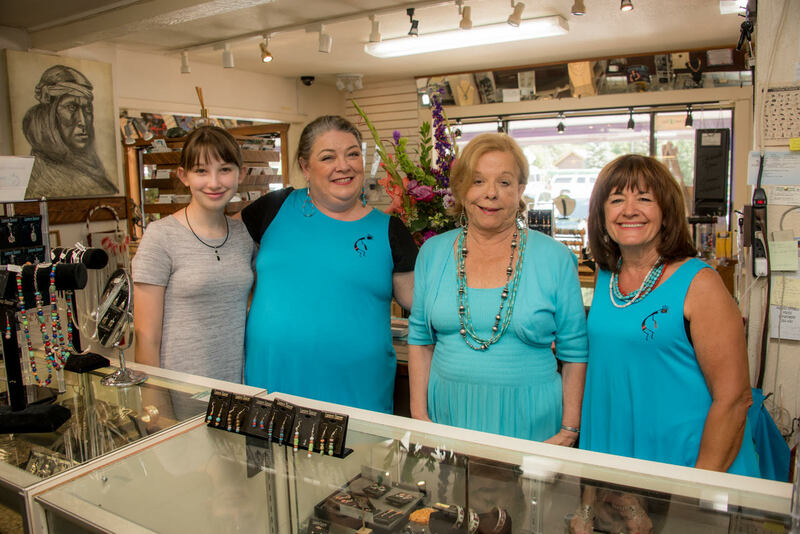 We urge you to take a trip to Lantern Dancer while visiting beautiful Wolf Creek to check out the quality of these special handmade pieces. The majority of the pieces created are one of a kind and each piece is hand selected. You may just find that perfect gift or for yourself as a remembrance of your wonderful trip to Wolf Creek! Ski & Bow Rack is a great source for the best ski gear and merchandise. In business for over 30 years, their service is second to none for all equipment rentals and tuning. They have on site ski technicians there to help with all your questions to ensure your outing is perfect with comfort and style! If you are visiting on the off season and your activities take you to the beautiful San Juan National Forest for fishing, camping, hiking or mountain biking, Ski & Bow Rack provides equipment for any of your outdoor adventures. They even offer guided fly-fishing trips to Pagosa Springs including all the supplies you need. If you are looking for a way to explore nature with the best high quality gear at an affordable rate, make sure to check out your options at Ski & Bow Rack! 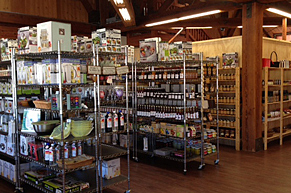 Family owned and operated, The Choke Cherry Tree, is full of the most wonderful homemade sweets, oils & vinegars, soup & bread mixes, gourmet sauces and jams! Located in Pagosa Springs for almost 20 years, this delicious little gem would be a great place to stop on your next visit to bring home a taste of the good life and a reminder of your travels. With unique flavors and items such as Green Tomato Pickles, Whole Fig Preserves and Watermelon Rind Pickles, you are sure to find something you can’t find anywhere else! They provide a great host of samples to try and visitors can also watch as candy is being made right there in the store. Now that is definitely something the kids would enjoy. You can also shop their products online if you find something you truly can’t get enough of!